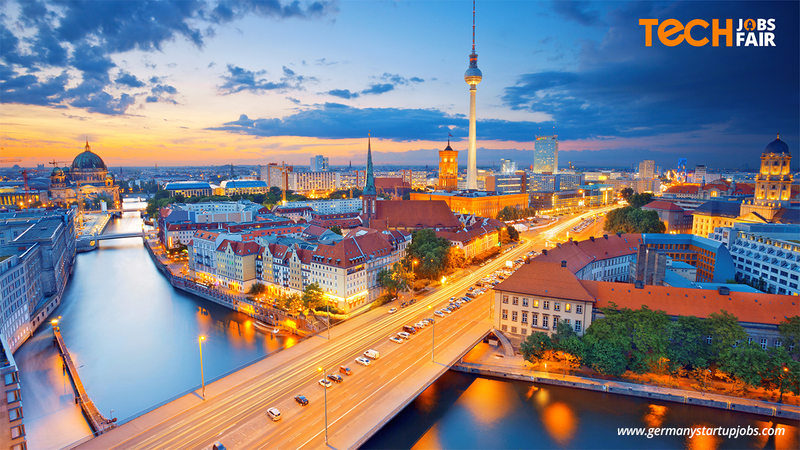 Berlin is one of the most attractive European cities for talented individuals looking for a wide range of career possibilities in an international environment. 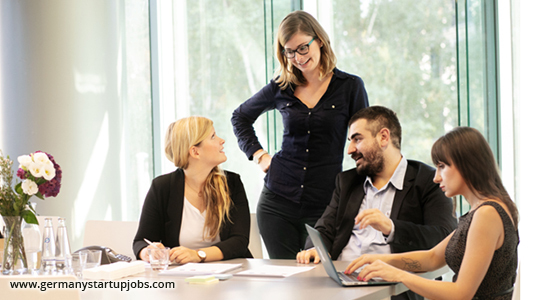 Whether you are a specialised IT expert, a creative professional seeking new challenges, or a recent graduate looking for your first job experience, the German capital’s job market is one of the best in Europe. But moving to Germany to work also comes with some difficulties. What are the barriers you will encounter and how can a potential newcomer to Berlin overcome these? The city has become well known for its charm. Berlin prides itself on its open-mindedness and liveability, especially for younger people – and its job market reflects this. The German capital is often described as a start-up hub, an optimal environment for tech and creative minds to flourish, and for new ideas to become reality. In the last decade, the city has been transforming from a thriving engine of the German economy into a European capital of innovation, making it a favourite destination for aspiring expats hoping to pursue their career in an international environment. However, there are a few things you need to know before taking the plunge and moving to the German capital. Almost every expat will tell you that not knowing German can be a big barrier when moving to Berlin. But no need to worry – many people nowadays move to Berlin without speaking any German beforehand. Thanks to its diverse environment, the job market in the city has become more international and expat friendly. Just make sure to find a good German course as soon as possible after you land, so that you are able to begin developing your German skills early on in your stay. 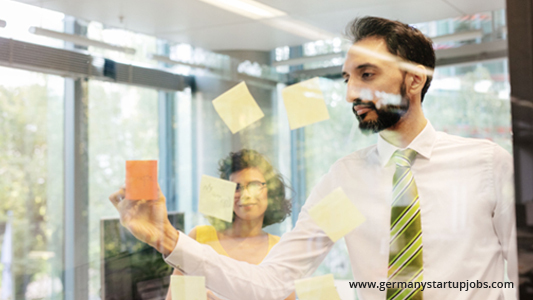 Some companies even offer free German courses for their employees, in order to help expats to settle properly in their new country. If you are not from the EU, a challenge that you might have to face when moving to Berlin is getting the right VISA – you will need a residence permit for the purpose of self-employment. It might be scary to think of facing German bureaucracy as an expat, but no need to worry – Germany has a highly functioning system which helps expats with their visas. On the website of the Business Location Center, you will easily find more help and information on which type of Visa you would need and how to obtain it. Some companies even offer help in the process. Once a paradise for easily finding cheap, central, good-sized flats, Berlin’s housing market is now becoming more difficult. The increasing demand for flats and rooms can prove to be a challenge for many expats, who often lack the knowledge or contacts to find a place quickly. However, Berlin’s housing market is still cheaper and more accessible compared to other European capitals like Paris or London, and a little patience will surely be rewarded. 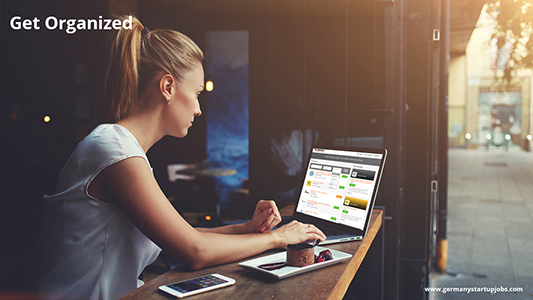 For your search, websites like Wunderflats can be of great help – the website is easily accessible for English speakers and will help you find the right place to stay. Other useful addresses are Immobilien Scout 24 or WG-Gesucht (for finding a room) – those are available in German. Gabriella Cheston, a recruiter at CrossLend , an innovative and international FinTech Start-Up operating since 2014 with its headquarters in Berlin, shares some useful insights about her experience as an expat worker and international recruiter. What is the current state of the job market for expats in Berlin? I think it is difficult to say the state of the current job market in Berlin as it differs from industry to industry. I can confidently say though that Berlin is booming in recognition with it’s Tech scene and I would say it is fast becoming the Silicon Valley of Europe. I think overall the state of the job market in Berlin is strong with more and more companies establishing themselves and hiring for all talent, international and local. 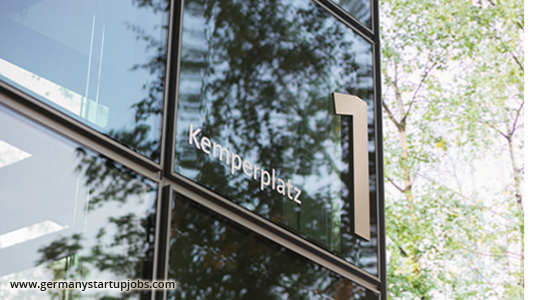 The job market in Berlin is welcome to all and I believe there are endless opportunities. With more and more start-ups seeking international talent, this allows for more work opportunities for expats. What was your experience moving to the city? Which barriers did you encounter? Berlin is very bureaucratic when it comes to administration and I think this puts a lot of newcomers or expats off. I think tackling this first on arrival and getting up to speed with the basics of the German language are the key ingredients for a successful start. Knowing your way around with the language can help you from the beginning as you need to understand very quickly the way of life here in Berlin to keep up and especially the mentality. On the plus side, Berlin is very international so there are immense support and lots of meet-ups to guide you through your first steps in settling in Berlin. How difficult it is to get a visa to work in Berlin? I have been working in recruiting for 3 years now in Berlin, and every work permit application for my candidates I have submitted has been successful. At CrossLend we currently have 24 nationalities. Of course, I know of some colleagues who were not so lucky. It is about having the right paperwork and preparing the paperwork in time.The candidate also has to do their part. The requirements for a work permit in Berlin differs from country to country, thus I would encourage anybody interested in relocating to take a look at the Berlin Partner website for more information. A lot of insights about Berlin are available online, and not only in German. 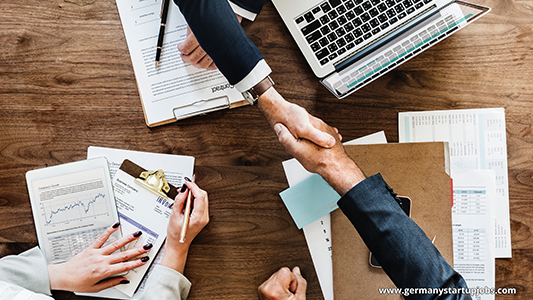 For example, the website of Berlin Partner cited by Gabriella provides extensive information about the corporate environment in Berlin, future trends and services in English. We definitely recommend a visit if you intend to gather further information about the city. The unemployment rate in Germany right now is a mere 3.6%. 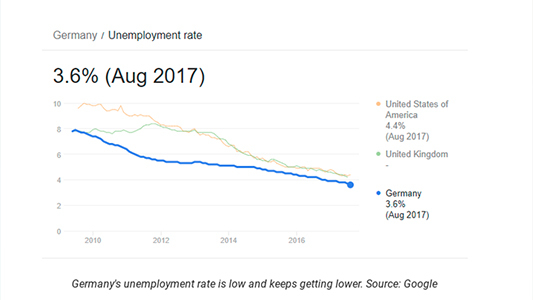 Compare that to the European Union’s overall unemployment rate of 7.6%, and it’s easy to see that Germany’s economy is booming. More people are flocking to Germany for their opportunities and benefits — everyone from college graduates to workers close to retiring. If you’re considering starting your own business, even better. Germany is one of the best countries to form your own startup. And considering the many benefits of learning German as a language, there’s never been a better time to make the move. 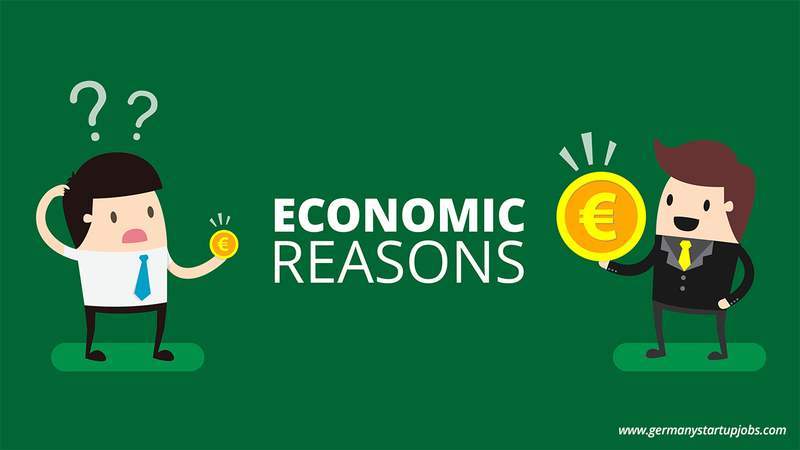 Germany has many benefits for their employees, particularly more so than other countries. For one, the minimum wage in Germany is projected to rise through the years as Europe’s largest economy. 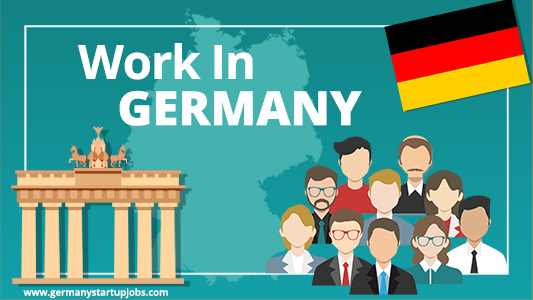 Germany’s economy is experiencing a profound success right now in the international market, meaning there are good paying jobs everywhere around the country. This is good news for everyone from graduates fresh out of college looking for their first jobs to senior workers looking to relocate, especially considering the many benefits of working later in life. It’s never too late to make a career change or live in a different country, especially if you’re considering setting up your own business. The German government is very open to the establishment of all types of businesses – no matter if they are domestic or foreign. Small business is a big reason why Germany’s economy is thriving. The small businesses are the backbone of the economy, which helps explain why 99% of German businesses are small to medium sized. Germany is one of the only countries in Europe boasts that kind of percentile and is especially welcome to new and innovative business models. 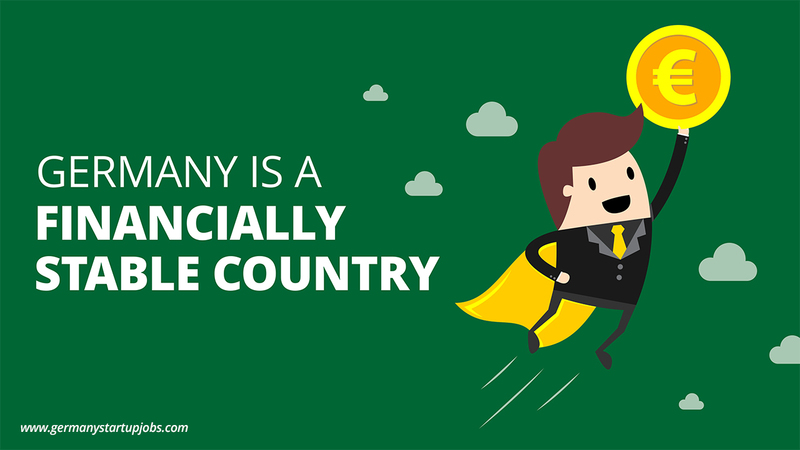 If you’re looking to form your own startup, Germany is your country of choice. German employment laws are generally more favorable to workers, especially their termination protection, collective bargaining agreements, and holidays. German workers are entitled to paid maternity leave, often lasting more than a year. They are also entitled to sick pay for up to 6 weeks, with an additional 6 weeks available if necessary. Vacation pay in Germany is protected by law to be at least 4 weeks per year, which is leagues ahead of other nations around the world. And social security payments are mandatory by law as well. Germany’s worker benefits are substantial in regards to other countries. As an added perk, most rural sections of Germany have no speed limit. It’s not unsafe either, considering it was based on accident experience, congestion, and other factors. The working hours in Germany are particularly flexible. Most working hours are confined to Monday through Friday, with retail stores making exceptions for the weekends. Sundays are generally considered days off for everyone, with the only exceptions being bakeries and petrol stations. What differentiates Germany is that by the law, “Ladenschlussgesetz” (Shop Closing Law), stores have strict times they are allowed to be open and closed, meaning that very few employees are overworked or demanded to work overtime hours. German workers are known for working less but producing more. In some parts of Germany, kids can start working at age 13, but that’s rare and only in situations with parental permission. The labor laws generally extend to children aged 15-18. What makes Germany’s youth labor laws progressive is that it forbids teenagers from working any jobs that can endanger their physical or mental health. And after any given shift, youths must be given a 12-hour break. They are also generally not allowed to work the weekends. All in all, there are many reasons to consider moving to Germany for work. You’re bound to find a job with their low unemployment rate, the worker benefits are numerous, and working hours are flexible and forgiving. If you instead have ambitions to start your own business, there couldn’t be a better country to move to. Workers of all ages will find a welcoming and helpful community to start, grow, and retire in. 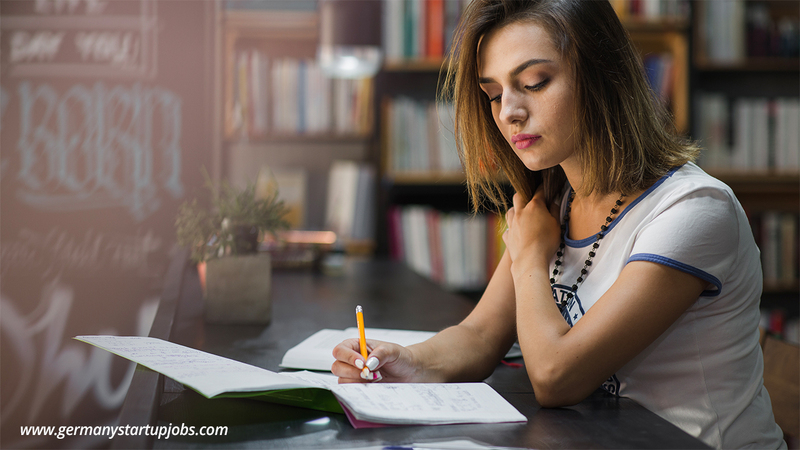 Finding the perfect job can take quite a bit of time and effort, and for many people, the process brings anxiety and stress, which can hinder their ability to “wow” a potential employer. There are so many details — from choosing clothes to setting up interviews — that it can quickly become overwhelming, leaving you at a loss for how to proceed. These feelings can turn into defeat very easily, dwindling your motivation to land a great gig. Fortunately, there are many simple things you can do to find the perfect job and make the process go smoothly. 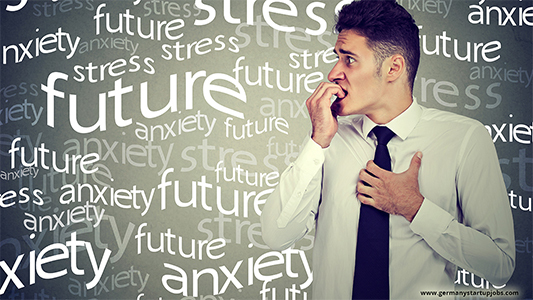 From doing research on the company so you’ll be informed during the interview to taking the time to practice potential questions you might encounter, there are several ways you can prepare that will help you reduce stress and anxiety at the same time. 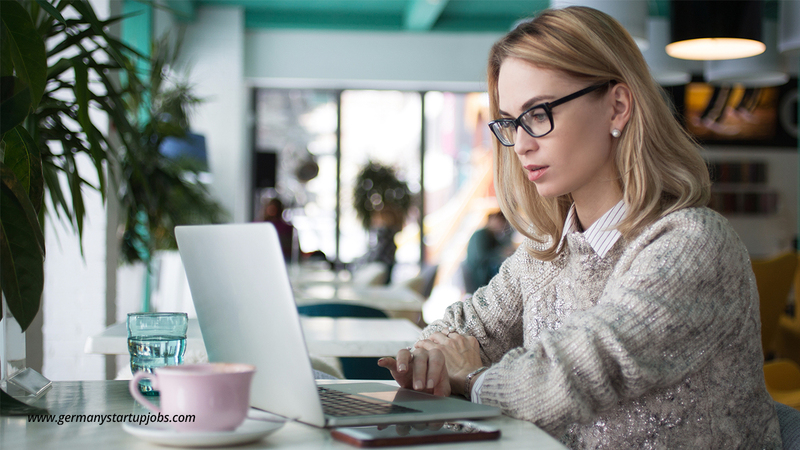 Get organized first by preparing a killer resume that highlights your accomplishments, and consider keeping a folder for all the information related to your job search. This way, you can put applications, business cards, and notes in the same spot for easy access. Keep reading for tips on how to land your dream job without all the stress. Staying organized is key when it comes to making sure you’re prepared. If you’re looking at several potential employers at once, it’s crucial to keep all the information related to each employer separate, as it can get confusing. Do some research on each company; find out how many employees they retain, how many offices they have, what their mission statement is, and what the position you’re applying for entails. This will help when it’s time for the interview. Prepping for an interview is more than just making sure you have a stellar resume; it’s also important to have a leg up on the potential job interview questions they’re going to ask and to think about what your answers will be. This will prevent awkward pauses in the conversation and allow you to feel confident. 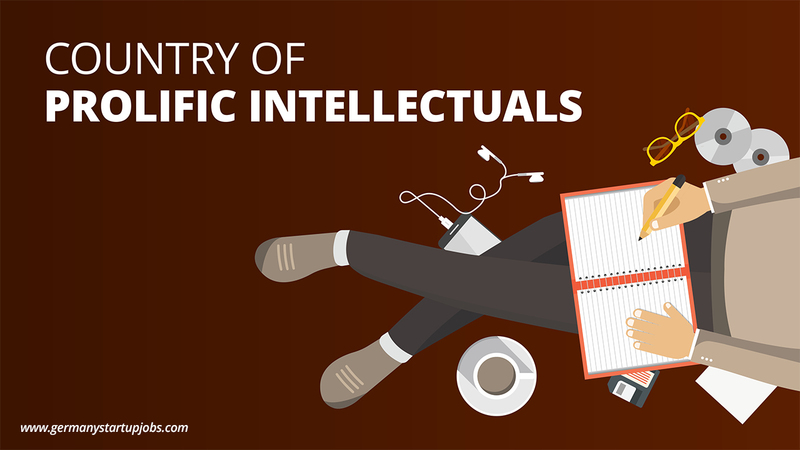 Research industry terms, and find out what they mean and how they affect the company. 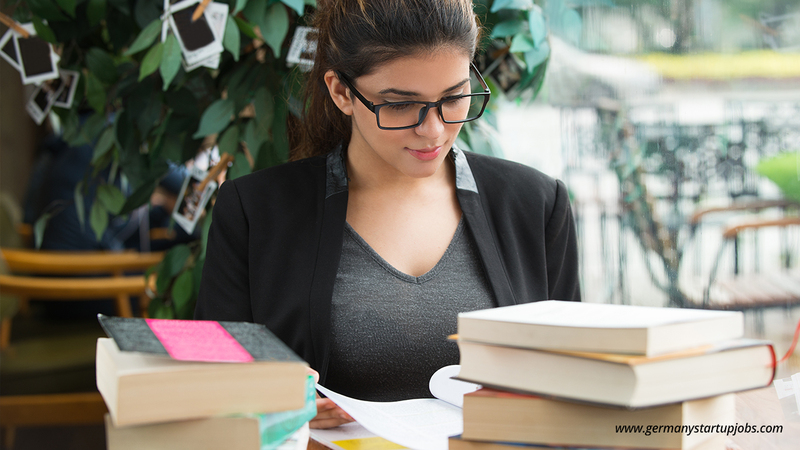 With a little homework on your part, you can ensure that the interview sails smoothly. It’s always a good idea to look professional when you’re putting yourself out there for a job. Even if you’re only going into the business to get an application, wear appropriate clothing and be polite, because some employers like to do on-the-spot interviews to get a feel for how a candidate fits. First impressions matter quite a bit when you’re applying for a job. Also, it might help to look up some common lingo used in the workplace, especially if you’re just starting out or are going back into the job market after a hiatus. Even if the job you’re applying for isn’t in the tech field, it can be extremely beneficial to get familiar with the latest advances in technology. Just a span of a few years can bring a lot of changes in any field, from updates to computers and POS systems to the creation of new anti-theft systems and devices. 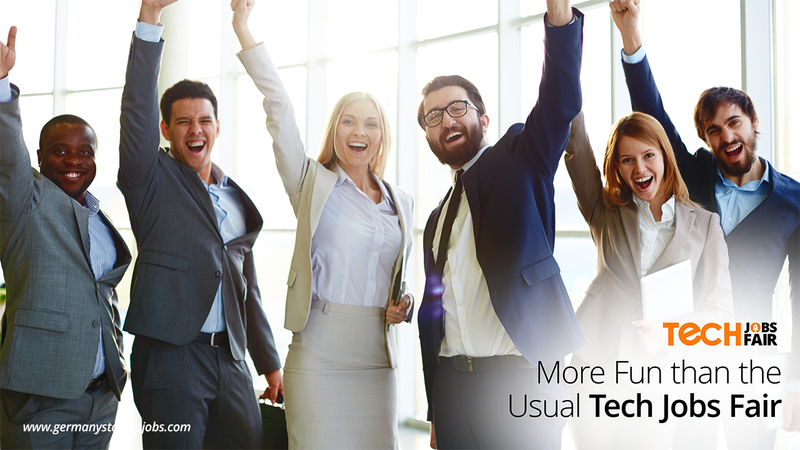 No matter what sort of business you’re in, it can help immensely to learn about the ways technology is making life easier for companies. Finding and landing your dream job doesn’t have to be a stressful undertaking. 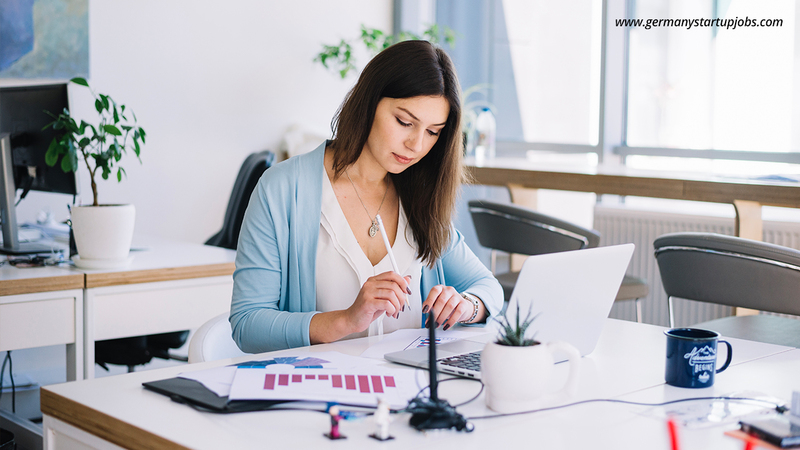 There are many ways you can make the process go more smoothly for yourself; sit down and think about the best strategy before moving forward. With a good plan, you can start a new career with confidence. 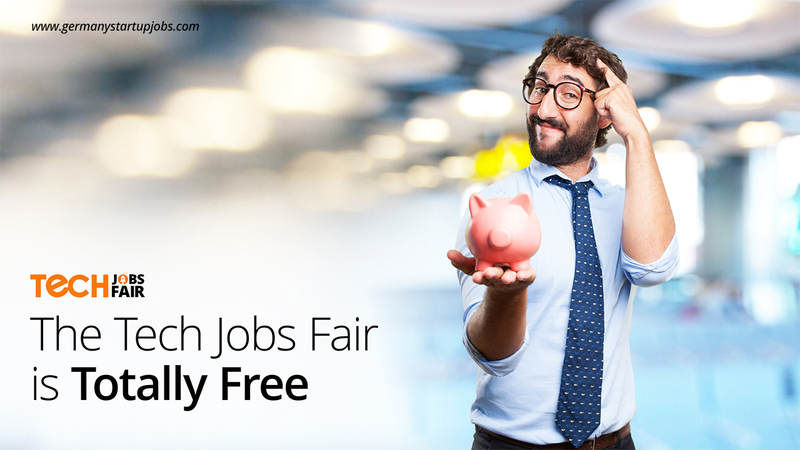 6 Awesome Reasons of Why you should not miss Tech Jobs Fair 2018! You might think twice before getting a ticket to a Tech Jobs Fair in this tech-savvy world when you can get to know every opportunity right on your computer on-the-go. But Tech Jobs Fair, Berlin is where you will get more than just an opportunity to find a job. This is a place where Tech meet top talents across the nation. It is a huge platform for all the competent individuals who are waiting for long to showcase their extraordinary thoughts in front of the world. It is also a great chance to develop your network and build long-term relationships with the big and well-known brands around the world. 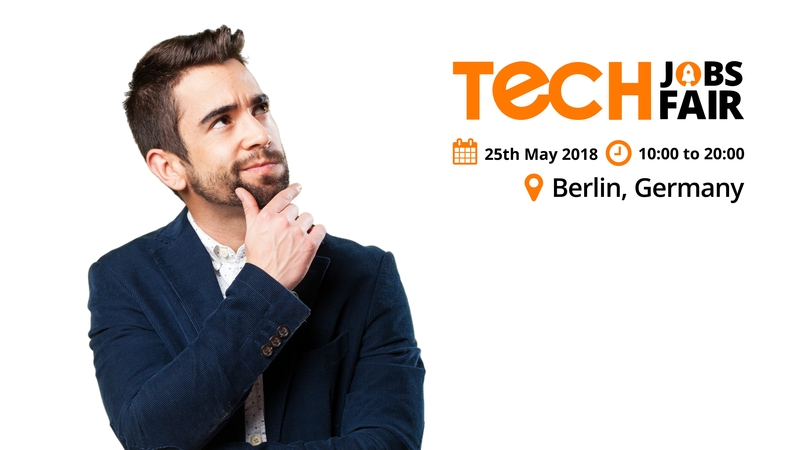 You can attend the Berlin Tech Jobs Fair not only for getting acquainted with the professional world, but also learn about the latest HR trends, Bots, latest technical innovations and much more, which will help you in securing a strong status in the professional world at any point of time. All the enthusiasts will definitely learn and add some value to their knowledgebase. 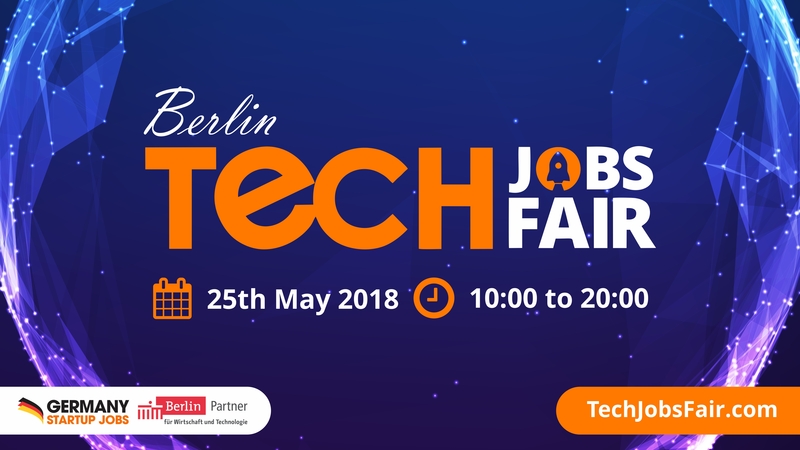 With the help of our escorting partners from all over the country, Berlin Tech Jobs Fair is trying to make Germany a leading global destination for high-pitched and impelling Tech, who want to discover and grow. If you also find that your ideas have a different perspective from the rest and need deep understanding, then this is the chance to pitch your ideas in front of those who will value them. So, come and join the team of innovative people and give wings to your secret endowments. We are bringing you the élite brands to get acquainted with and give your talents a new direction. Tech Job Fair is not only a fair but a huge platform for you to connect with thousands of like-minded people. The fair is going to link both the job seekers and employees to find the best available human resources in the market. so it will benefit you all on the enormous scale whether you are a fresher, student, job seeker or an employer seeking for geniuses. Significantly outshining any other metropolitan in Europe, yet, Berlin is bragging a nine per cent surge in effective businesses ever since July 2015. Numerous things influence this brand-new poise. For instance, the cost of living is an exceptionally striking advantage for companies, with London being 43 per cent costly in living outlays than the German capital. Astonishingly, a start-up industry is being instituted in Berlin every 20 minutes. Berlin is the essence of conventional German competence, fast-pursuing start-ups to achievements with huge funds coming in from round the world. Financiers directed in £1.7 billion to Berlin’s start-ups, considerably outdoing London’s venture capital of £1.4 billion. Tech Jobs Fair is going to take place in the topmost 4 Active Tech Cities in the World. Through these Tech Jobs Fair, it becomes very easy for renowned brands to connect with the right candidates. 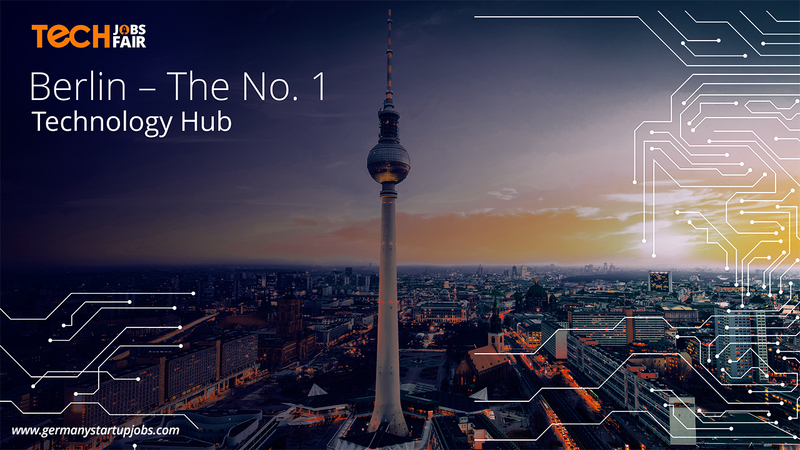 The Fairs makes it hassle-free to link with other Tech Fairs which add up to Berlin’s success results all at one place. So, we provide you with the finest ambiance to associate with the most efficient sources. 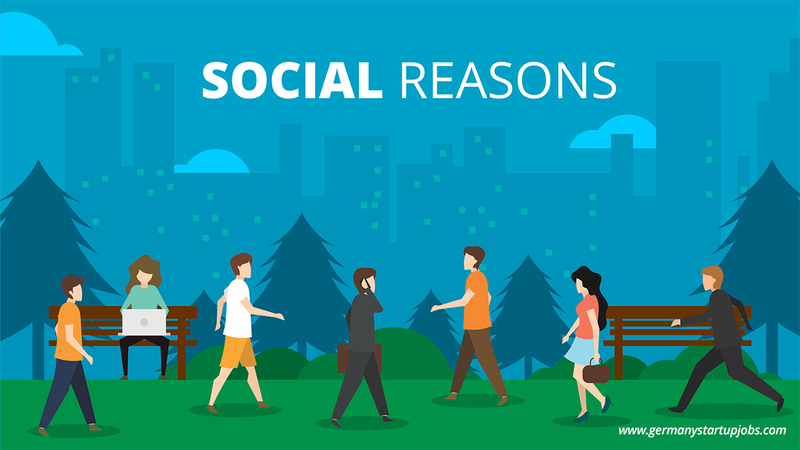 With the help of healthy interactions with each other you come to know about the latest Berlin Tech trends, work surroundings, hiring schemes, needs of the individuals, and much more. overall, we provide you with the best set-up to outgrow your skills. You might now be thinking out of the schema, once Dating is put on the table. Well in Business life it is fruitful as it sounds but with different participants. As you know that we are going great with the second year launch of the conference, we will be introducing the seekers to new hiring patterns agreed upon with the participating Tech/companies. The big companies and brands will get access to your Registration Forms beforehand and get in touch with you to schedule an on-spot interview slot at the event itself. This quick dating will help you to prepare a little and give shape to your precise ideas you want to express beforehand. It moreover becomes the most streamlined process ever. You can imagine how easily we will be acquainting you with the strategies as per your job profile. Unlike other usual job fairs, this fair is not asking from you anything in return. We are just making sure that the job seekers from all different backgrounds and experience levels are easily facilitated in the conference. They instantly connect with the highly innovative organisations as well as gives you complete access to a pool of career development information- all for Free. 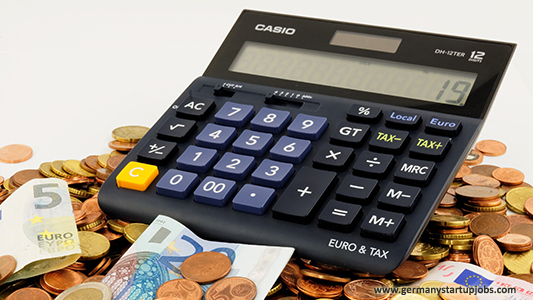 We very well understand that how frantic and troublesome it is to find a job by adding up to the unnecessary costs. So, we are taking care of all those points because of which job seekers hesitate to participate in such Tech Jobs Fairs. Yes, you heard it right, not only the Berlin Tech Jobs Fair is Free, but it also offers you with the best updated knowledge. All the participating candidates will have access to the free learning sessions apart from free entry to the event. We have arranged for you the team of best and experienced individuals who will be present there to answer all your queries. These queries might be related to your career growth, or modern trends in professional environment, or any other info you get stuck with nowadays. We have also scheduled variety of sessions which will be providing you with the best knowledge about the needs of the companies, Tech benefits, your capability according to the present scenario, etc. Not only this, but we are covering various sessions to enhance your potentials to meet the company requirements/soft skills/personal development, etc. This year our motive is not only to offer you with a platform to get a job, but we are planning much more than that to give you a complete package to enhance your hidden skills. We are introducing the Student Pitch Competition, which will take place on the spot. This competition will allow the selected participants to showcase their 10 Great Business Ideas from which others can learn. So, overall, this time we are offering the participants with the best of everything a Tech job fair can think of. You must be thinking that our Tech Jobs Fair will be a regular event with serious faces moving all around to just involve you in the process of getting a job. Nope, this is not we are all about. Our team has spent several months to make this event a huge success- not only for you but even for those who are coming along with you. yes, we do believe in making our events not only informative but also enjoyable for those who take out their precious time to attend the event. Keeping in mind all this, we have arranged for many other entertaining activities like Food Options, Tombola Prizes, Networking Hours, Enjoyable Presenters, Cheered Up Organizers, Good Background Music & more surprises to be disclosed at the event itself. Now you very well know what this Tech Jobs Fair is all about. It is not a formal or serious event where you just need to dress up formally to showcase your talent in front of someone. It is not that you just need to match up your skills with the company’s requirements and attend the career-boosting sessions. These type of Job Fairs are the talk of the past. Today’s young talents are not confined to these formal environments, and keeping the trend in mind we have arranged everything as per your need. The companies will also have an informal interaction where your skills will be shown and not how you look. 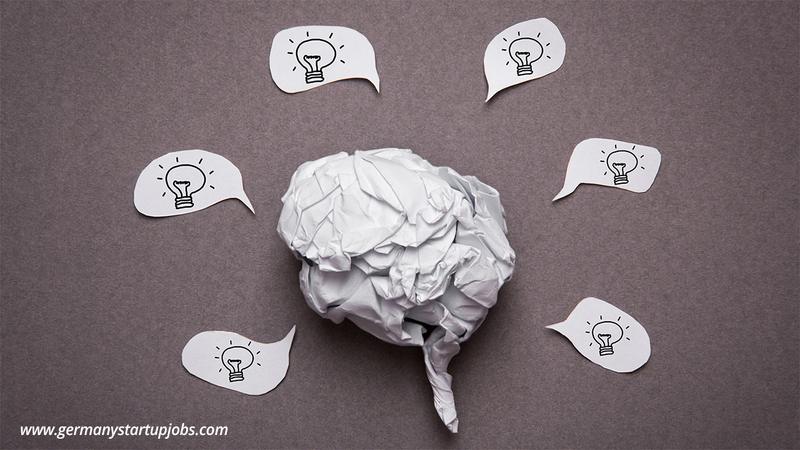 Your ideas should be showcased in a great way to grab the right opportunity and not your formal looks. We have tried our best to give you the right and light-hearted environment to make sure that your looked upon goals are matched with the expectations. So, it is a modern-day Tech Jobs Fair in which we raise your informative as well as entertaining bars high through a combination of different kinds of milieus. The event is for everyone and we are ready to welcome you with open arms and open minds. It is one of the best opportunity for you all to highlight the best side of yours to the world. Come and join the Tech Jobs Fair, Berlin. Hurry, Grab your Free Tickets Now. Now as the most difficult part of the tech interview is over, it time to look back and forth for the other things. The passing of the interview round must give a sigh of relief, but things are not over yet. You have still got a way to go before the final joining as the real struggle will start there on the field. So, just prepare yourself for it, analyse yourself from all perspectives and keep up your competitive verge. If you are not selected for the job, then take pre-emptive steps to learn from your last interview’s experience and do the needful as per the current situation. Follow few of the after interview steps to make it a total win-win situation for you in both the cases. 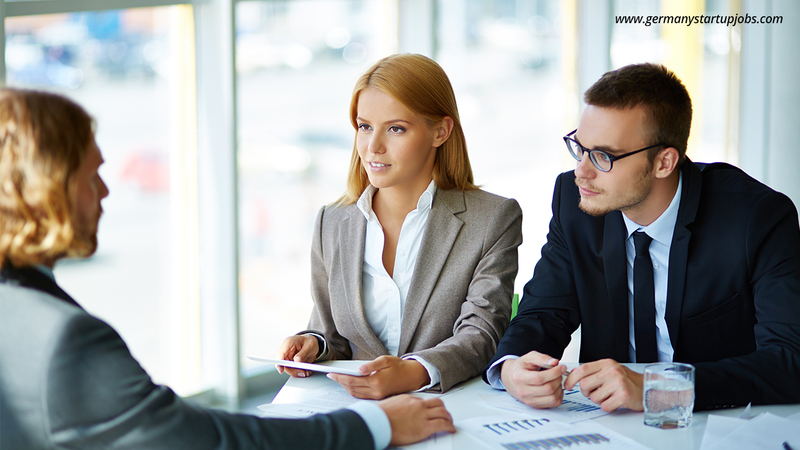 At times, following these simple steps will build your strong impression in the eyes of the interviewer. It’s time that you recollect all the things you did to prepare for the interview. As everything is fresh in your mind, don’t let it go easily as this might help you to understand things in a better way. Write down all the points and start evaluating yourself on various grounds. Recollect those points where you went down in front of the judging panel, and also those in which you outperformed. Frame a picture in your mind for the company and its working practices along with the job responsibilities you have to undertake. The next thing you have to do is to jot down the questions you were asked as this might help you in future and you won’t be facing the same issues solving them. If this was your first interview, then this written recap of the whole situation will help you time and again to prepare yourself in a better way. After you are back from the interview, try to write an email saying thanks for all their time. A Thank you email should be mailed within 24 hours as the whole situation will be fresh in the minds of the interviewers. If you delay the email, then the chances are that they might not remember your face. Mention a big thanks for the time and attention they have given you and considered you for the role. This email will leave a perpetual impression on the mind of the evaluator. It will also create a different bond between you and the interviewer. It will give you a chance to clarify things in the later stage and you will be able to express interest in the position. If you don’t receive a response from the Thank You email in a week’s time, drop in a follow-up email to see why there is a delay in the process. They also might be busy in deciding many things related to the whole process. 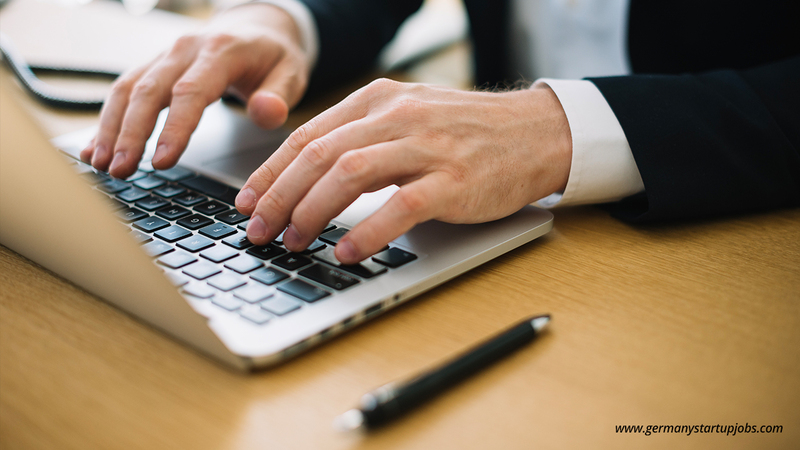 This might take time as these final procedures are time-consuming, but dropping an email might give a positive impression of yours and keep you on the priority list. It will also show that you care about their reply and for the job position you have applied for. Few candidates might think writing an email might show their desperate nature, but it is not true. Nobody is asking you to write back-to-back emails enquiring about everything. It’s just one or two follow up emails to know if it is worth waiting for the company’s answer. And these emails will definitely make you stand out from the rest of the candidates. One important point is this is that just don’t write plain emails enquiring about the final result, instead add up some useful things you were not able to cover up in the interview discussion or maybe a project you are working on that you hold back from during the interview. If you receive an email mentioning that you have not been selected, don’t get disheartened. Despite, write an email by thanking them for the time they have given, asking them the reason for not getting selected. 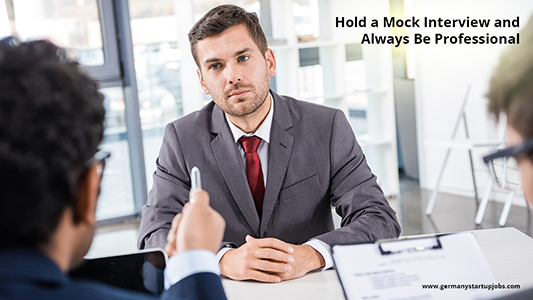 By asking the opinion, you will come to know your shortcoming, and won’t repeat in the next interview. Just remember that we all need practical disparagement and expressive feedback to grow in life. So, if you get the response on that, it will be beneficial for you only for the next time. The whole purpose of sending a feedback interview is to get an edge in your next interview and keep you moving forward with more positive attitude. Some might think that sending such emails might look like an odd affair from the company point of view, but in reality if you write meaningful emails, then it might turn the cards in your favour. You might also remain in the limelight because of these well-written emails from time to time. It is not that these emails will help you to secure the job position even if you are not the deserving candidate, but will instead get you the positive feedback regarding your performance in the interview so that you work on your weakness. So, just follow these above steps and end the whole process with a positive note even if you are not selected. If selected, then it will be the best thing for you and you will get the joining letter in hand in just few days. All the best for your interview. I hope you liked the suggestions. If you think that any other important point is missing, then do leave your message below. It will help other to improve their performance. Till then analyse yourself and work towards your goals. Well done! As now you have passed the Phone Screen Round, it’s time to get ready for the more intense session i.e. face-to-face interaction with the company heads. It is indeed the most nerve-wracking part of the tech interview. This is the final stage where you have to show your complete technical skills along with overall constructive body language. Here, in this round you have to show that you are a perfect contender with the best knowledge to succeed in the role. So let’s start with the steps to consider while cracking the Coding & Onsite Interviews. This part will be similar to your traditional interview where you have to roll-up your sleeves and start preparing from the basics irrespective of your experience and educational qualification. It is because this part will involve entire Computer Science exam rolled into one and you have to sit with that thick book to cram the detailed programming principles, algorithm, and data structure. Comprehending what to study is not that difficult than how to study. When you actually sit down to study, you have to formulate plans on covering the important part of the topic. Merely looking at the topic will not serve the purpose here. You need to practice the particular diagram and understand the concepts behind it so that you can explain it in a better way. In front of the judging panel, it sometimes becomes quite embarrassing when you know the answer, but don’t know how it was derived. For this, even if you don’t have a coding interview in near time, still you have to practice few problems on daily basis and boost your knowledge. You have to first read the problems carefully, derive the various codes for it, check the solutions and think of the other ways you could have solved the question. 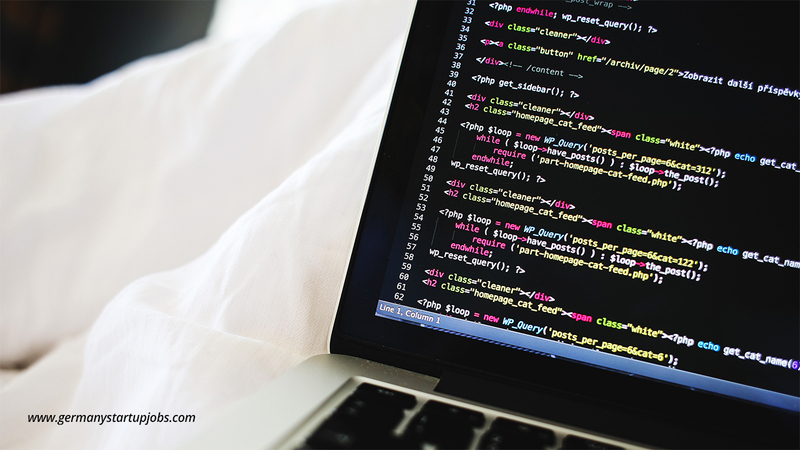 You can also refer some websites for coding solutions like Codewars, HackerRanks, CareerCup, Interview Cake, etc. Books by experts also help in getting quick and elegant solutions to coding problems. 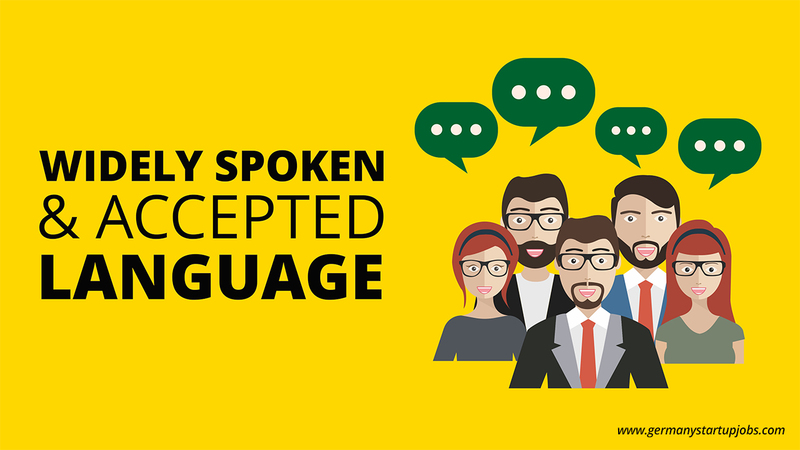 The interviewers will get impressed by the right solution you gave them and not the coolest language. This is the most fearful and contentious part of any technical interview process. The candidate has to show off his coding and problem-solving abilities to the managers, engineers, and company heads. In this, you will be asked to write handwritten code for solving a difficult question along with full explanations to the related queries bowled by the panel every now and then. It is therefore, a long and time-consuming process. If this is your first time, then do practice the same environment at home before the actual interview as many firms do ask to highlight coding solutions during the interview on the whiteboard. Buy a whiteboard and start writing solutions on it in clear handwriting instead of relying on keyboard or code editor. Try Codementor, Gainlo, or interviewing.io to plan a simulated whiteboarding discussion with a real tech professional or even a hiring manager. Well, to be very frank there is no exact list of questions to be asked in the interview as no one knows the mind of the judging panel. It is kept as a surprise package for you. This is the exact reason why this round is little too terrifying. But the only option left for you is to search the internet and follow the footsteps of the experts of this field. What you can do is that you get acquainted with the company fellows during the first session. This will help you to get some idea from them for the interview. For the whiteboard session, you can expect them to implement coordinated algorithms, binary tree balancing, check the interconnected lists, etc. For CS questions, they can ask anything related to the new technical terms, about objects, two or three tier architectures, etc. This is just a basic idea as the exact list will not be known till you sit in front of the judging panel. Just keep practicing various questions related to your field to boost your confidence level. Maybe that you know the exact answer to the question asked, but don’t show off too much excitement as this often tends to lose the whole game. Just be calm and first ask them the doubt or any clarifying question if any before starting the coding solution. This will give you time to frame your answer exactly they want and you will be able to recollect all your thoughts on that particular point. It will give a positive impression on the judging panel and they will know that you are preparing for the best possible answer even after knowing the exact ready solution in your mind. The clarifying questions asked before diving into the answer will give you the idea of what type of answer they want for the questions put. The judges sitting in front of you are not only waiting for the correct answer but also your clear and explained approach towards the solution. So, don’t jump into writing the codes after listening to the question as this will make them feel that you have already heard the question before from someone and have a ready answer to it. Explain every step you are writing so that they also get engaged in the solution. This helps them to understand your answer in a better way. Someone might throw a clue or drive you away from the answer, but you have to face that also smartly and continue to go on with your explanation. The technical interviews are planned in such a way so that the judging panel ascertains your ability in every aspect, and not only getting the perfect answer. 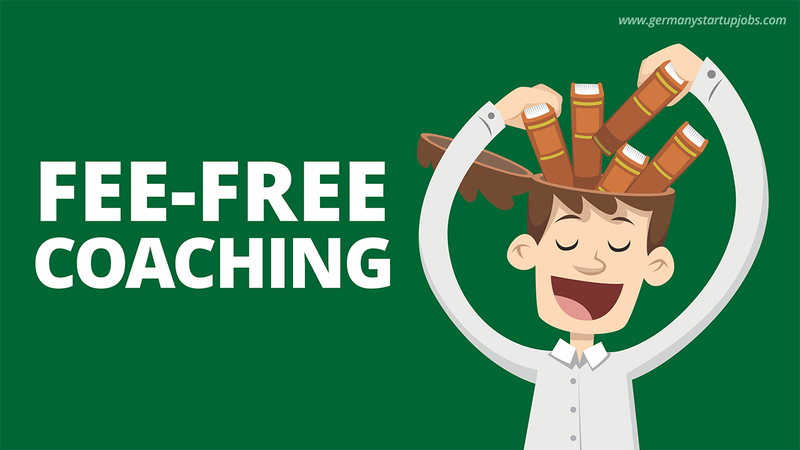 The will assess you on your filed knowledge, coding skills, problem-solving skills, etc. So if you get stuck in the whole process, just realize it that it was supposed to occur. The judges are waiting to see your reaction to all the challenges they put you through. Don’t lose your confidence and give tattered looks at this stage. Instead ask for clarifying questions and tell them that even if you don’t’ know the exact answer, you are going to try for it. If you don’t know even the basics of the topic discussed, then clearly tell them that you are not aware of it. It will not ruin your impression and they will try to frame another question. Remember, if you try to answer the question you don’t have an idea about, then you will sound stupid. In such cases being honest is the only way out. In case you have little idea about the answer then you might ask for clues and involve the judges in your solution so that they can drive you thru the process. After all, getting cooperation from others is the main trait for any software developer. The technical rounds are always tricky and no one has clue about it. It entirely depends on your preparation and practice you do before the final day. The best suggestion from my side is that you start your routine healthy on that particular day. Get good sleep, don’t be too nervous or think too much about what’s going to happen next. Be calm, have a good breakfast, wear your best looks and revise everything you have planned for this big day in a brief. These small things also help a lot at the time of interview as your thinking ability is better when you take good rest, and your responsiveness is quick when you eat and sleep well. For the interview session, you just have to be attentive to all the questions asked and frame your solutions accordingly. 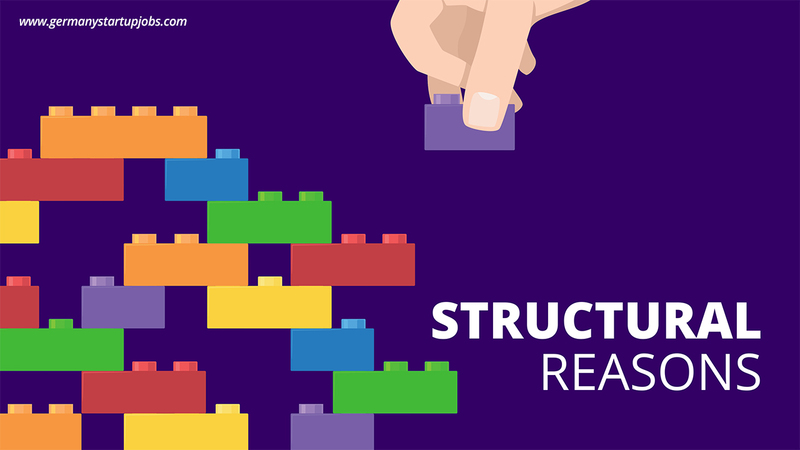 Try to break the answers into small segments and start coding by explaining everything stepwise so that everyone gets involved in your solution. If you get stuck somewhere then either, ask for hints instead of staring at the whiteboard like an absent-minded person. Now as you have shown your best-written talent on the resume and polished all your social and LinkedIn profiles, it time to get yourself for some real in-person experience. Though writing the perfect resume might be the first and the toughest job for a candidate, but handling back-to-back queries on phone screen round is little too tricky and nerve tricking. 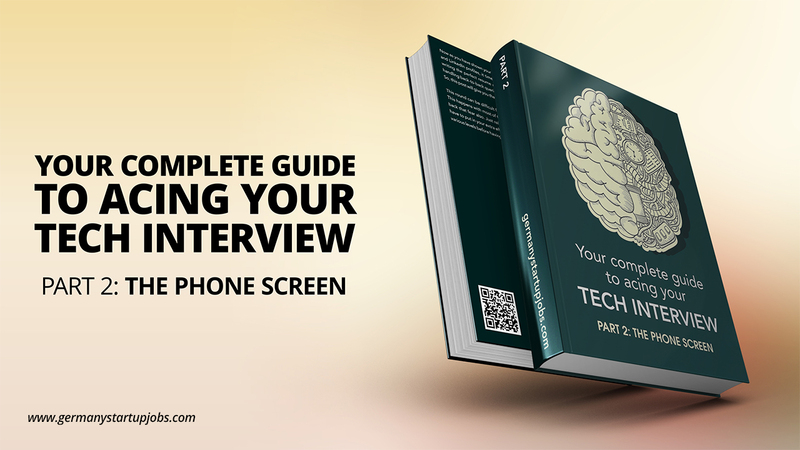 So, this post will give you the complete guide to acing your Tech Interview phone screen. This round can be difficult for those who have excellent writing skills but low verbal skills. This happens with most of the new entrants. But don’t worry, we will give you tips to fight back that fear also. Just relax and take a deep breath and work on your weak points. You have to put in your extra efforts as the man on the other side of the phone will judge you at various levels before having the final round with the company chiefs. For some, it might be ok to interact with the unknown person on the phone, but the pressure build in that session might bring down the confidence level. The interviewer might ask you anything related to personal life (not in-depth), professional skills, and past experiences. The toughest part is that you don’t know how to carry the conversation forward due to the absence of facial expressions and body language of the person on the phone. There might be many such thoughts like that, but one has to face that also full-heartedly because the next and final stage might become easy if you crack this positively. The phone screen round is just to evaluate the person on a casual basis. It is to judge whether the information provided in the resume is true or not. But be ready with another technical part too instead of showing off only the soft skills. So, let’s go through the point to ace your tech interview phone round. During the phone screen round, it is very important to speak what you have mentioned in your resume. It is because the interviewer is going to first bombard you with the obvious question of your past job and educational qualification. Herein if you miss any of the points or say the opposite then you might be in trouble. The best way to avoid these silly mistakes is to have the resume in front of your eyes if you are not good at remembering things. It is not that you have to read the resume when asked the related question but it will remind you of the bullet points so that you can elaborate and highlight your achievements beyond that. Also, prepare a brief one-minute speech about yourself with all the main points. Just remember that the person on the other side has your resume in hand and he will try to shake your poise by putting up the easy part first with the twist. So, be ready and let them do their part. You just give a brief of everything asked with high nerves. Every interrogator will ask you the same and obvious question of “why you chose us?” Now, this is what you have to nail it by having a prior information about the corporation. 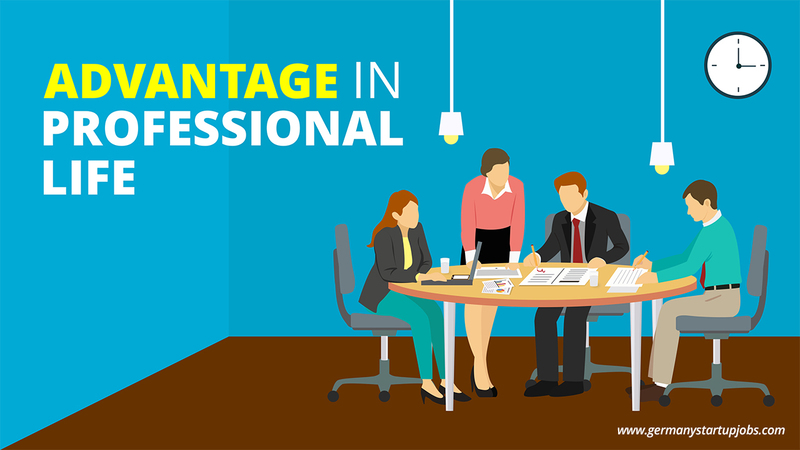 The HR person might think that you will just give the lame brief answer like other do, but here is where you can score big by having an apt and crisp knowledge. For this, you have to go thru company profile on various social channels and do a little R & D on Google. But wait, this doesn’t mean that you are going to give a lecture on its past financial numbers or an in-depth lecture on company status. You just have to highlight company values and mission by tailoring them into proper answers. The engaging answer on company profile will give a positive impression and show that you are ready to spend your valuable time in developing the company in future. You very well know what the company is expecting out of the right candidate. So, start brushing up your skills as required. On the phone call, you have to highlight only those qualities of your which go as per the company norms. If the company job description demands the self-directed candidate, then you have to put forward only those projects where you have worked independently. If a job demands a specific experience in C language, then prepare a narration related to that even if you have worked on it 2 to 3 years ago. Try to match yourself closely with the job profile so that they find you to be the right candidate. And if you don’t know something they desire, don’t hesitate to say that you don’t know that. You can’t be knowing anything and everything. but put that also affirmatively by saying that you are willing to learn that. 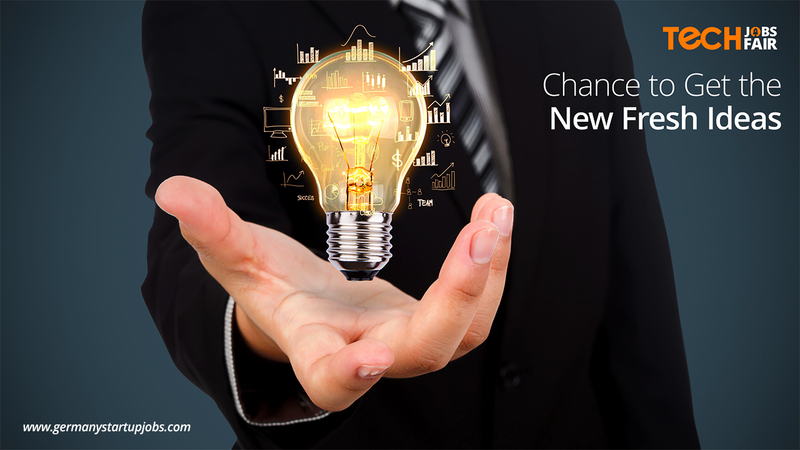 it will prove that you are ready to learn and adapt to the new environment. It is not only with the tough questions, but the simple and common ones also give a strong impression of your overall ability. From your personal details to the general tech related questions, all must be handled with full confidence and preparation. For this, you have to pre-rehearse for the questions and have a set narration possibly asked during the interview. You must prepare the anecdotes related to your previous job experiences, your behaviour while handling situations, managing technical issues, or any other projects done outside this job. Why you choose our company to work for? What qualities makes you better than others? Reason for leaving the last job. 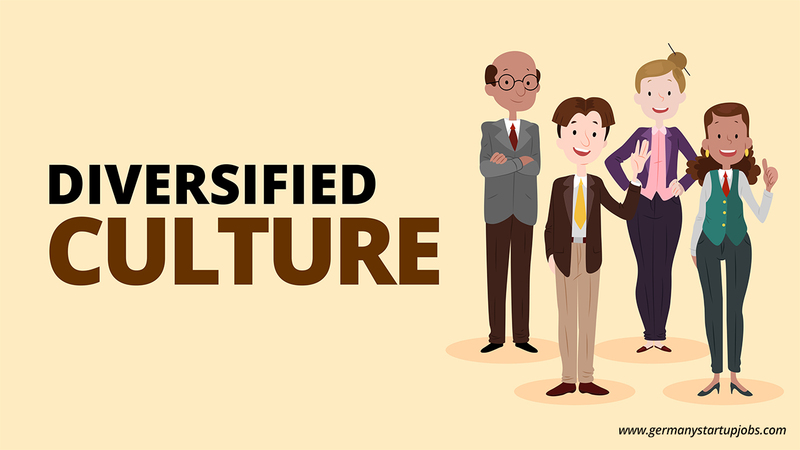 What qualities will you prefer in your superiors? Your future plans while doing your job. Any new skills required recently. You might not be knowing the exact time of the call, but you have to make some preparations before so that you don’t have to run here and there to collect things when you receive the company HR’s call. First of all, keep your phone volume high so that you hear it wherever you are (if you re at home only). If you are at office, then put a clear and short voicemail greeting mentioning the time you will get back to the interviewer. Keep all the collected information ready in case you require it during the phone interview. This might be the company info, your pre-planned answers to tricky questions, work experience details, important achievements, etc. This will help you in framing the answers abruptly. So, keep these notes ready on a paper in front of you. Find a place where you are going to have this important conversation as any sounds might distract you or the interviewer from listening to the questions and answers. Make use of a noise cancelling headphones for dealing with technical coding session. Answer all the questions clearly and with poise so that the listener understands in the first go. Using the word “Pardon” too frequently might lose his interest in the interview process. All the technical questions put in front of you must be explained stepwise, so as to show that you have proper knowledge of the job you have applied for. In the phone round you cannot see the interviewer, so it becomes necessary to know the response from the pitch of his spoken words. This is the biggest challenge in phone round because you cannot make out the interviewer’s thought process which you can thru body language in the face-to-face round. So, just make out from the way he puts up his questions and other general talks. Try to have a better and comfortable position for your interview. If you feel more energetic by standing and taking up the interview, then fair enough, go ahead with that only. Some people find it more comfortable while sitting at one place and then handling the queries. Do whatever you feel right; the only important thing is your optimism while handling various types of questions. Take time while answering the technical questions because it is better to be right than being wrong by answering hastily. And also be honest in your approach to every question. If you don’t know something say it clearly without worrying about the negative impression. It is always a wise decision to acknowledge when you don’t know something. Interviewers always appreciate this straight and honest attitude. 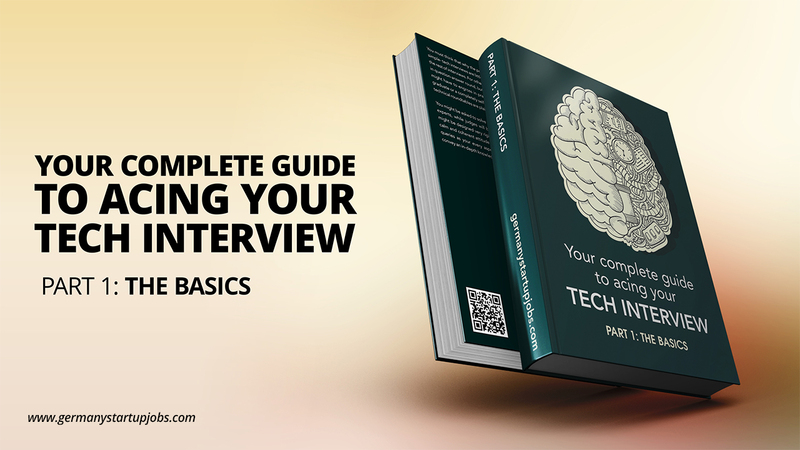 I hope you got all your queries answered, and this guide on acing your tech interview will surely help you to have the best discussion. The phone screen round might sound little challenging, but if you know your skills well, then whether you are on the camera or behind it won’t matter a lot. Your pertinent knowledge is all that works here, nothing else. Please feel free to ask any other doubts you have related to your first interview. You must think that why the post is especially for acing your tech interviews. The reason is simple- tech interviews are little challenging, as the level of expertise is totally different from the rest of interviews. For other designations or managerial jobs, you have to simply engage in question-answer round, but for tech interviews, you have to prepare scrupulously as you might have to engross in practical explanation. So, whether you are a computer science graduate or a completely self-trained coder without a traditional engineering background, technical roundtables are plain nerve-wracking. You might be asked to solve a complex problem alone, or may be seated with the group of experts, while judges will be observing your every move. Although, the interrogations might be designed very rigidly, your job is to win the interviewer’s heart with your smart, calm and coherent attitude. You just have to prepare yourself with a well-balanced set of queries as your every aspect like your strong points, weakness, and past experiences convey an in-depth knowledge of your fields nitty-gritty. You might think that all these points are standard ones, but there are many other necessary points which we have in our minds and cannot find answers to. The old concept of cracking the interview no more exists and a candidate is selected not only from his intellectual levels, but also his confidence, a way of dressing, and strategy of tackling tough questions. His smart approach and quick responsiveness are given more importance than being too slow and perfect in his methodology. Not only the situation is changed from the interviewee’s point of view, but also the interrogator’s side. The process has transformed to be more practical than theoretical. Nowadays, you might not be asked only to sit in front of a judges’ panel and answer questions like an oral exam but given a case study to analyse or a practical situation to solve. You might be judged at various parameters and seated among a group of experts to resolve a technical issue. I recently came across a video on Facebook, where an interviewer was in search of an extraordinary tech-expert with a balanced but smart approach towards life and work. Whoever entered his judging chamber he asked him “Write something on the whiteboard”. All those who enter the hall for an interview- wrote their passion, field of expertise, hobbies, or made something funny on the whiteboard and talked only about themselves and what they have achieved in their career. The interviewer was so fed up with the obvious and uninteresting replies that he expected nothing from the last candidate. But the situation turned out to entirely different and exciting. The candidate was not dressed in a proper casual dress but was dressed smartly wearing his positive attitude. The interviewer asked him “Write something on the whiteboard”, and you will be amazed to know what her wrote- “Something”. It was not something that the interviewer was expecting but the answer triggered a great feeling of high expectation from the aspirant. With many hopes, he was asked to sit and continue with the second roundtable round. When asked to tell about himself, he honestly told all the negatives first. He said that he has the required skill-set required for the job, but he cannot follow blindly what others say. He solved many technical questions correctly, but with a different approach. He told that he was thrown out of the job for not saying yes to the wrong things. This positivity and direct answers impressed the evaluator, and he was selected for the job immediately. But this might not be the case with everyone, but a direct and honest line of attack matters a lot. Every interrogator doesn’t always like too much praising about oneself, high academic marks, and an overall pleasing personality. One has to endeavor an honest, sophisticated, knowledgeable methodology to win over the judges. 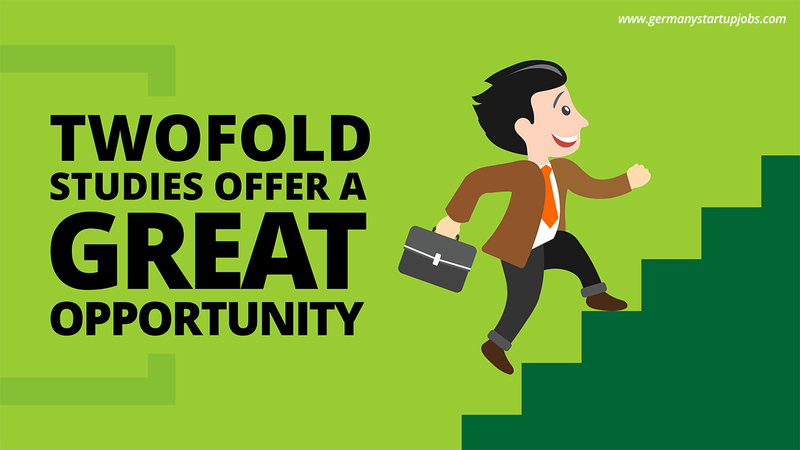 An apt knowledge about your field is also must and will make the selection process less overwhelming. So, let’s check out this guide to acing your tech interview. Some steps are crucial to be followed at the initial stage. Whether you have worked with big brands like Amazon, or want to get placed with a startup firm with less number of people, technical interviews follow the same thorough process of selection. There are few companies which provide their interview patterns via videos for the public, so that they can know how it is going to be like in that similar situation. So, prepare yourself with all that stuff and have an adequate knowledge of your stream. 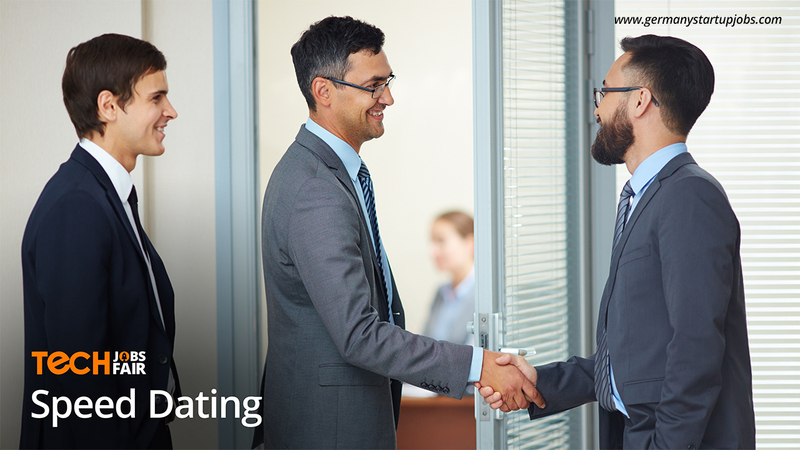 Also check the intel of the company you are interviewing with so that it helps you to gain format of the interview. Phone round is the second stage which is conducted by the HR of the company you have applied for. After you gain knowledge about the company you have applied for, it’s time for them to know some details about you on the phone. You have to be prepared for this round exhaustively as not only HR but at times the team lead or an engineer with substantial experience might be involved in the process. The intention of taking this round is to see whether a candidate has the mentioned potential in the CV. Along with your career goals and experience, the interviewer might ask you little about your skills. This stage might include more complexities, as you will be given an hour to showcase your professional métiers thru screen sharing. You might be asked to show your programming and coding skills to the management by running some programs in a live session. The interviewer will ask you to give some instant solutions to the technical issues or revise a code and run it live via video or phone call. This stage will clarify whether you can work on the technicalities the job is dealing with. From your side, you have to show all your strength to perform the best and give expected solutions to the interrogators. This is the toughest round where you will be facing a fervent panel of judges who will take you on a roller-coaster ride for two hours or so. The interview might be taken on a one-on-one basis, a lunch interview, or the practical interview by testing your skills on white boards. The pressure is more and you have to give your best at all levels by handling their really tough or at time silly questions. The time taken in these type of interviews is more as the method of testing the candidate is not revealed till last time. Once you enter the hall, you have to either give your best or fall out of the race. Whatever the situation is, you have to face it all with confidence and a perfect attitude. All your coding and other technical skills have to be sharpen before coming for this roundtable. Look, all these types of interviews are conducted to check your stress-handling behaviour, perseverance, responsiveness, and overall mind-set to work in a team or alone. The main purpose is obviously deciding whether you are fit candidate for the profile or not. Because hiring a wrong candidate without following a particular process might lead to loss of time and money, as every individual joining the organisation is appropriately trained before joining the actual position. So, no company would like to waste its resources on some nerd with no technical expertise in the field. Every round is for some specific purpose so that the hiring process gets easy. The first phone round eliminates those who don’t possess the basics knowledge of coding. If one is not able to answer the introductory part well, then he will be out of the competition straightaway. Those who are found to be deserving enough for the job, proceed to the advanced levels of interviews. The second and third round involves around technical knowledge via various means. Interviews thru video conferencing and one-on-one basis are designed to bring out the best of the job-seeker. He is judged on all strictures of his field and compelled to find solutions in all type of situations. You will be hoodwinked with all kind of brain teasers and “got you” questions that might leave you stressed and red-faced. The first phone round will be taken by the company HR Manager or a recruiter. 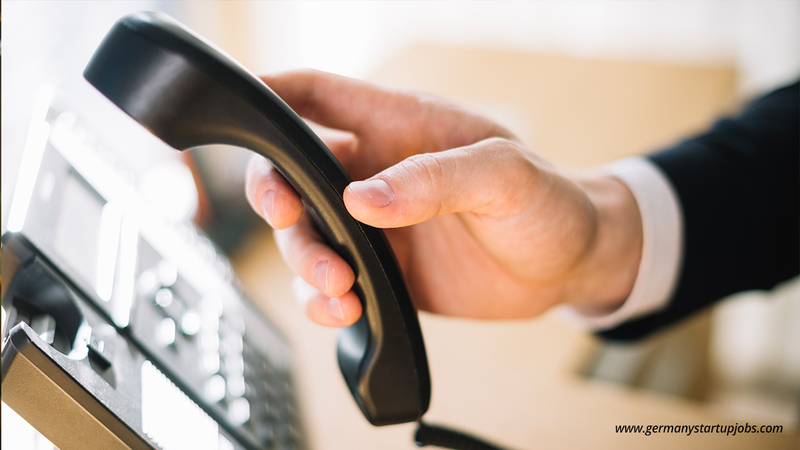 Some companies also ask the team leads or assistant managers to conduct the phone round to see if the candidate required for the job possesses adequate knowledge or not. This saves the time of other higher hierarchy people and helps in eliminating the non-deserving applicants. The other rounds of interviews are taken by senior developers, CTO or manager. In some organisations, you will be told about the people who will be conducting your next interview. This will help you to do a little search about them so that you can involve with them personally on the roundtable. You might find some similarities between you too and take the interview to a manageable stage. You can go thru their LinkedIn profiles to know their professional status. Now this is something which causes a real panic in the mind of a contender. We have always heard that your first impression is the last impression, and to follow the saying your outer look matter a lot. Obviously one will not appear for the interview in threadbare clothes or hoodies or ¾ pants. But the question is what to wear and how to carry yourself confidently in front of the evaluator. See it all depends on how comfortable you are in carrying yourself in a particular outfit. One might feel comfortable with jeans and shirt, while other might prefer the proper formal dress. Some girls or women might like to wear something ethnic or go with formal skirt and shirt. 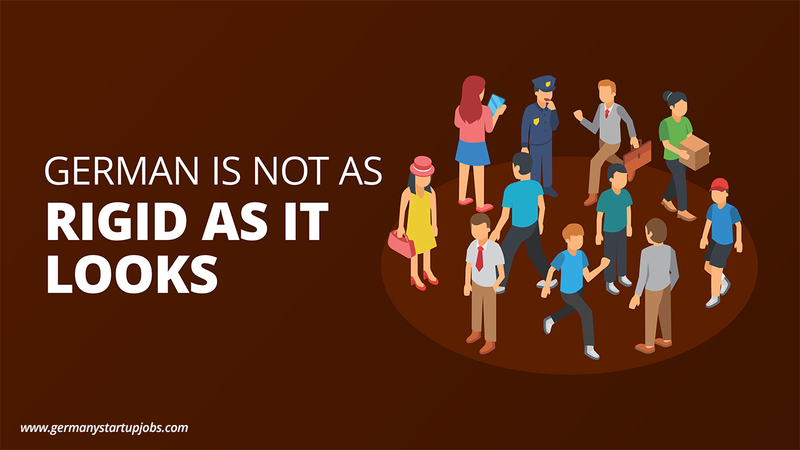 To lessen your burden, some companies will write the dress code to be followed in their email, or can check the company profile on social media to get the exact knowledge about the dressing sense of people working there. Your involvement also matters a lot at the time of interview. This engaging attitude will come only when you have done a good research about the company. The technical knowledge is must for every interview, but if you only keep on answering the questions without cross-questioning, then it might give a feel of a classroom. So, be ready with few smart queries to show that you too are eager to join the firm with full determination. Your enthusiasm will have a positive impact on the judge’s mind. 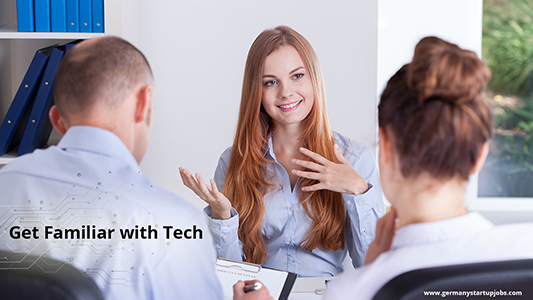 Therefore, all the above points will help you in acing your tech interviews with full confidence. You not only have to be smart and witty from inside while handling technical probes but also need to look confident during the counter attacks by the interviewer. At times, your high level of confidence while explaining things might get you the desired job even when you are little wrong in your tactic. I hope this guide will help you to get your dream job. If you have any other doubts apart from the ones covered in this post, please feel free to ask. In the last few years, we can see an enormous growth of students who apply for Germany. Germany has become one of the favorite places for international students to study abroad. A few years from now, students mainly rushed to the UK and the US for learning purpose. But due to its rich heritage and multifaceted history, friendly people and beauty of the country is something which every student enjoys apart from studying there. 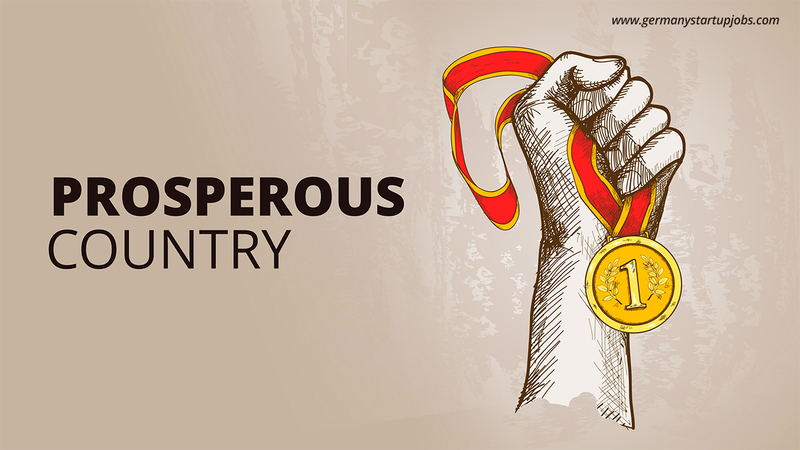 The country is also full of any opportunities, and its courses are ranked among the best ones in the world. Even residing and getting a job in Germany is not at all a difficult task. 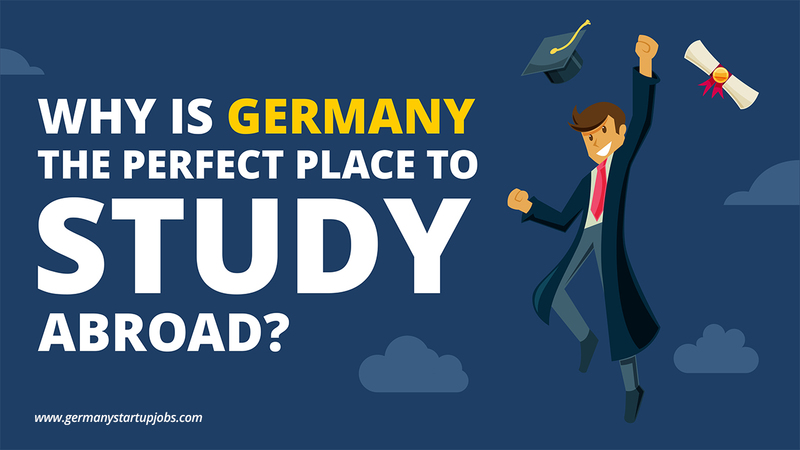 So, let’s check out the main reasons why Germany is the perfect place to study abroad. We have already discussed the method of applying visa for Germany in our previous post. The task is not difficult at all, and there is apparently less number of formalities to be completed before getting a permanent visa. So, if a student has all the required documents handy, the process hardly takes few days to complete, and he can fulfil his dream of studying abroad with a reputed college in Germany. Germany has comparatively few restrictions on getting permanent visa or student visa. 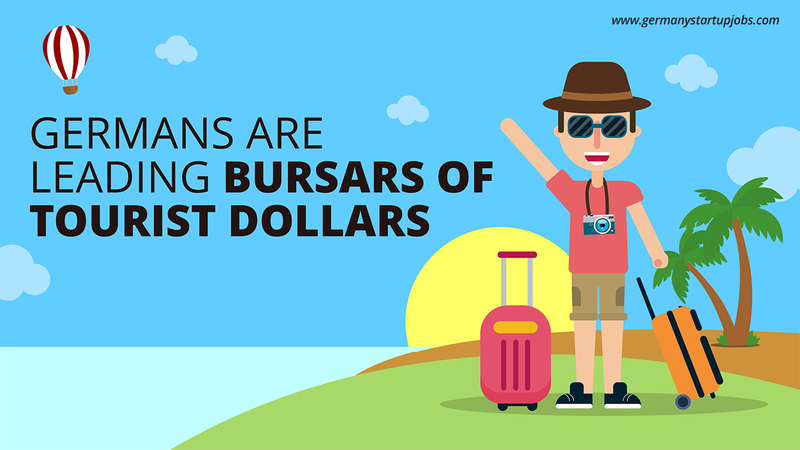 International students have to follow a particular procedure to get the visa and meet the general criteria mentioned therein. Germany possesses a great and prosperous heritage of ancient times which probably attracts students. It is an ideal country for studying abroad as the people are fun loving, kind and friendly and do not differentiate on the basis of caste and creed. The studying environment is secure and respectful, and everyone is welcomed with the same enthusiasm like Germans. It is a fascinating and varied country in every aspect, and the places are worth exploring due to its natural and intellectual resources. Germany is in the heart of Europe, and this makes it aesthetically vivid and fascinating county, shaped by the surrounding origins. The country is divided into regions, and every part is remarkable in its own feature. There are lots of activities for everyone like different sports, food, festivals, arts, etc. The nightlife of Germany is exceptionally happening especially if you are in Berlin. At first, you might feel little lonely, but with time you learn to adapt to the vibrant environment and hospitable people of Germany. The education system in Germany is determined highly on its international domain, and students benefit a lot due to the variety of courses offered. Almost every reputed university in Germany has incorporated a global study program into its curriculum. The professors from all around the world share their experience in English as a primary language, as well as German language. 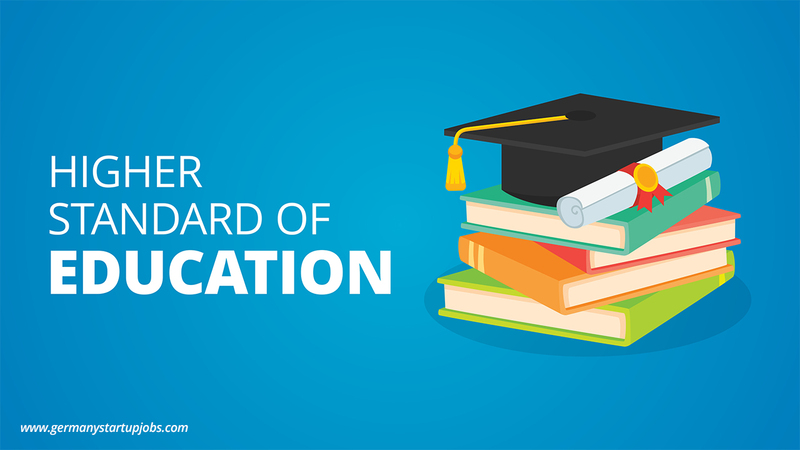 High academic standards are maintained to offer students with quality education. The learning of German language is mandatory and that is taught thru the intensive programs. This doubles the chances of getting more job opportunities simultaneously. These all things come together and help in modelling an excellent future for the aspiring students. More than 400 educational institutes offer graduate and postgraduate programs for international students. The PG programs are usually for two years and the student has to clear the entrance exam for getting admission in the desired school. 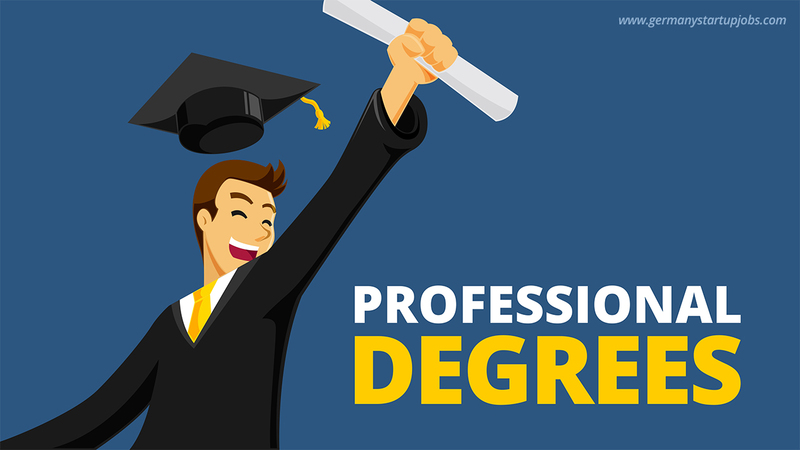 The PHD programs will usually last for three years. Admission to all these degree courses require particular knowledge. The courses are designed outstandingly in order to match with global criteria and attract more students. So, the campuses in Germany offer various courses with several advantages for building world-class professionals. No doubt if you search for good rooms with all the basic amenities will cost you more, but if you decide to compromise on many things, then it might be not too hard for you to get an inexpensive lodging near the college. The lodging in old buildings and distant areas might be affordable, but that might not be preferred by all. You can also share rooms with someone or go for private room, but that will cost you more. 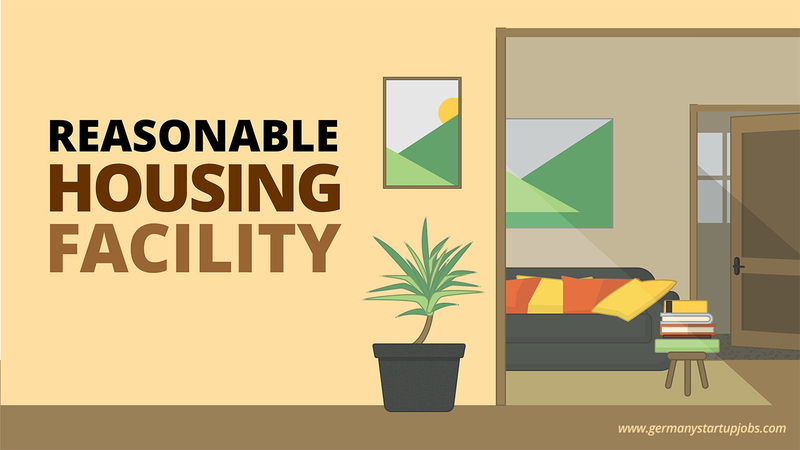 Rental flats might be affordable but having facilities is the question where all fail to compromise. If you really prefer housing with all basic amenities, then you need to pre-book it well in advance. You can also contact the Studentenwerk early so as to find a decent rental place to live in. They have a huge waiting list all the year round. So, as a student you need to check all the available possibilities to get a good accommodation nearby your college. If you are well aware of the system, then you won’t face any problem finding a place and a good partner to share your room with. European students can come and study in Germany without any restrictions. 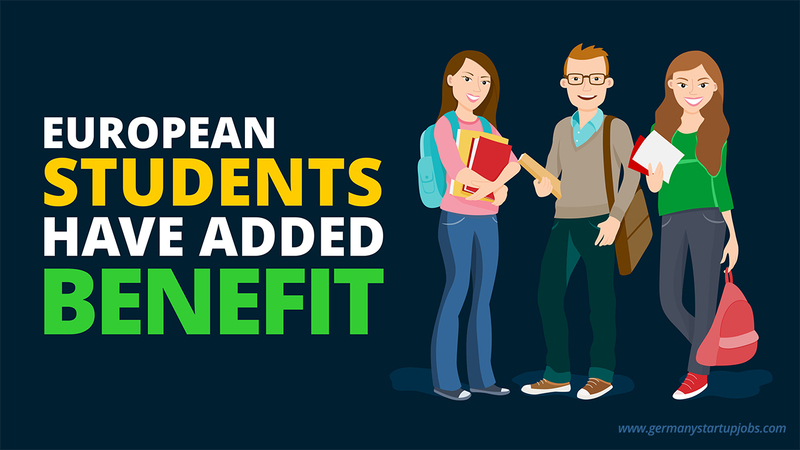 They will cherish all the rights like German citizens and EU\EFTA resident regarding free entry, the chance to study and work devoid of any additional authorizations. Other non-residents of Europe have to follow the same procedure of applying for visa and then stay there. 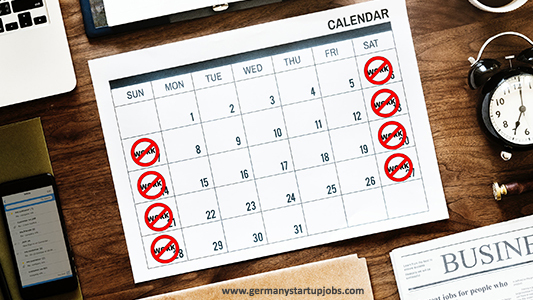 But if you have registered for a summer school language program, you have to apply for student visa that permits you to live in Germany for more than 90 days. The visa also allows you to get residency permit that will allow you to visit the entire Schengen area freely. If you have got acceptance by any German university, then you can apply for student visa three months before your planned departure. All the documents are to send to migration office of the German university near the designated university. 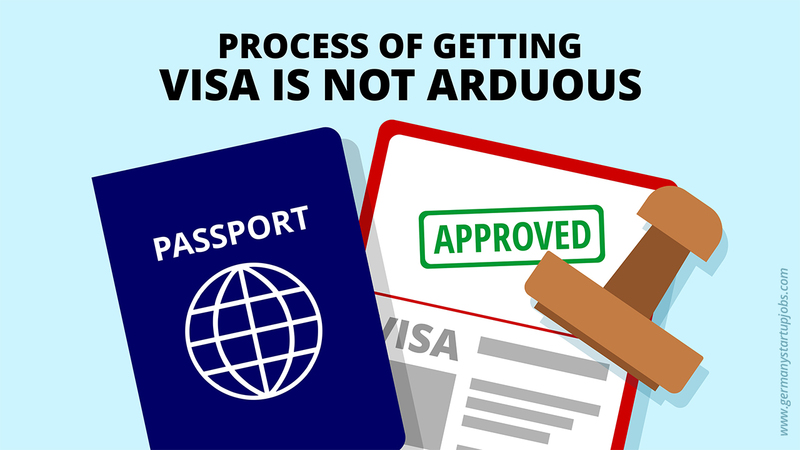 When all the official formalities are completed, you will be given residency permit. And if you are planning to travel Europe on the student visa, then you have to inform the authorities prior your parting. It is a good thing for an outsider to have a health insurance before settling in the country. The universities will not allow you to register with them if you don’t have medical insurance with essential health services. If you have insurance which covers all the related health services internationally, then you don’t need to buy another one in Germany. But do check all the services offered by that insurance in all the nations. 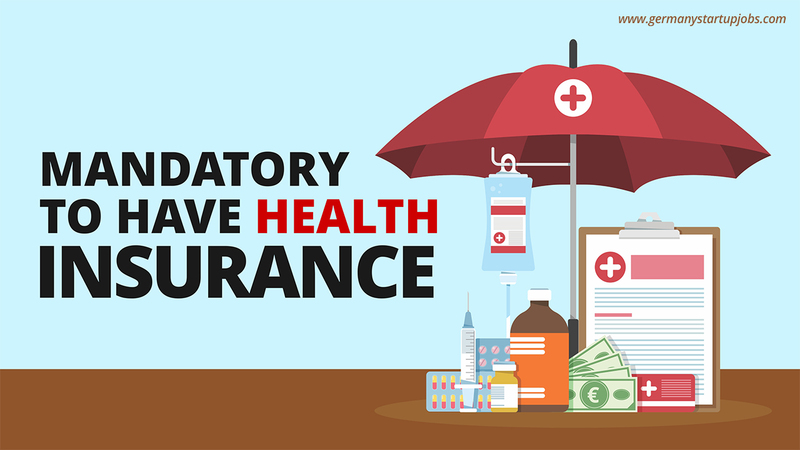 It is recommended to have public health insurance as compared to private one as the latter one is expensive for students. But if you belong to a wealthy background and want to avail 5 star services, then private health insurance can be the best available option. The health insurance you purchase might not include areas of Europe and Schengen, so make sure that you get such facilities in case of emergency. The cost might be little high, but you have to cover all the risks and apply for a better option available in hand. Studying and working together gives a better exposure to students and a chance to become more responsible at an early stage. The method has a positive influence on students by offering them monetary and theoretical gains. This not only makes you independent and saves a lot of time which one might spend just hanging around without any purpose. Any institute might encourage such practice if you have a valid high school diploma, knowledge of German language, a great academic background to proceed the admission request. The German high school diploma from any country will be accepted readily as compared to non-German diplomas. The latter ones have to go thru the acknowledgement procedure by the proper and legit authorities ((Zeugnisanerkennungsstelle)) in the country. It is advised to check these documents with DAAD or the German Embassy in the country so as to avoid any future problems. After passing the German language exam, a certificate (which is an essential document) of the same can be obtained from every Goethe Institute near your home. 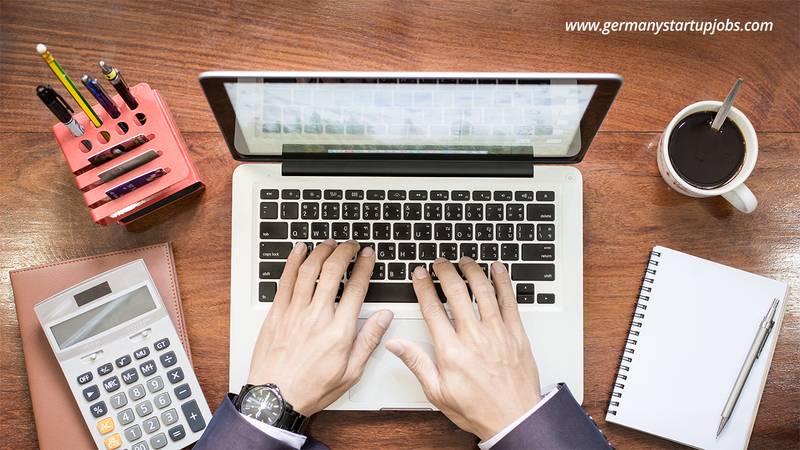 If you have all these documents, then you can earn while studying in Germany. Many of the Western world’s most significant works of philosophy, fiction, music, art, history, spirituality, psychology, chemistry, physics, engineering and medicine are inscribed in German and endure to be created in German. Overall, there are many reasons to choose Germany as you next destination abroad for studying. Not only students but professionals seeking job opportunities also benefit a lot from the economy of Germany. 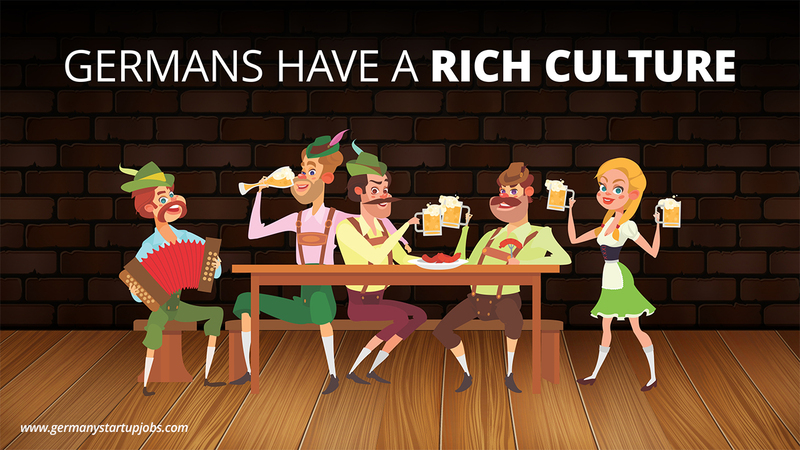 Germans are warm-hearted people who respect every culture and cherish all customs. It will be a wise decision if you select Germany for your higher studies. 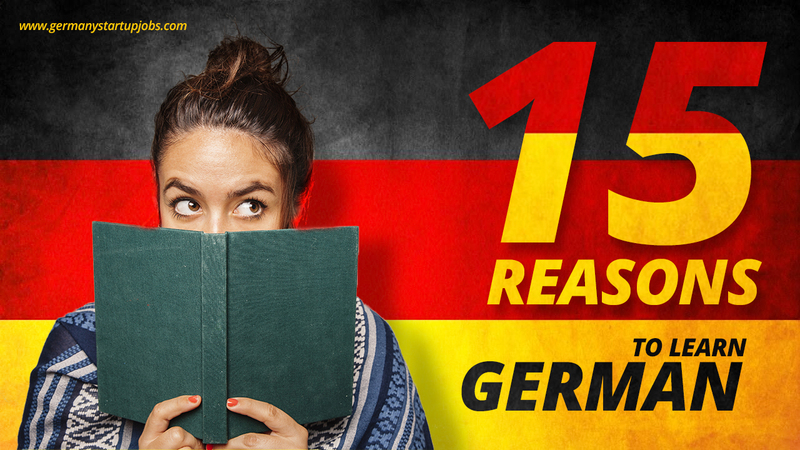 All these reasons suffice the answer as to why is Germany a perfect place to study abroad. You must have heard that Germany is quite tough to learn, but I personally think that every language is hard when mastered the first time. For some, even mother tongue seems to be difficult to grasp for a first timer. So, if you have the absolute commitment and a sharp mindset towards something, then nothing is away from your reach. The same story goes with the German language. Anyhow one has to start every language with the basics that are ABC; your task is just to focus on the initial part, and then move to the advanced level. Now, it might be that you have got this idea about the toughness of German language from your peers or relatives. But it will take your hard work and passion towards reaching your goal. For us, English is an accessible language, but for Chinese, this language is also tough to learn. So, nothing is impossible for an optimistic individual if he has solid reasons to do a particular task. I will give you top 15 explanations as to why one should learn German as a second relevant language. Germany has the biggest number of local speakers in the entire European Union. It is amongst the top ten languages enunciated in the world. The language has some similarity with English as few words are pronounced or look like German. And also in the film industry, the German language has made a unique position as many well-known filmmakers are from Germany. 22 Nobel Prizes in Physics, 30 in Chemistry, and 25 in Medicine have gone to researchers from the three leading German-speaking nations, while many laureates from other countries received their education in German academies. Eleven Nobel Prizes in Literature have been bestowed to German-language playwrights, and seven Germans and Austrians have won the Peace Prize. Learning German can benefit in many ways if you look at the commercial side. Germany is the world’s second-largest exporter. The country’s economy ranks number one in Europe and fourth worldwide. Its financial system is comparable to that of all world’s Spanish- speaking nations altogether. 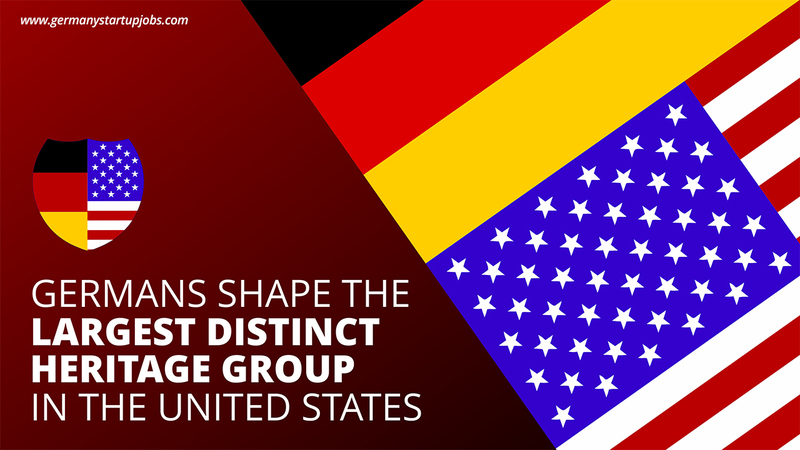 Germany is the destination for many international conglomerates. The straight investing by Germany in the US is more than ten billion dollars. By learning Germany, you can get global acknowledgment. If you are aiming to settle in Germany in future, it helps you in tackling the peer pressure of the organization and will benefit you in presenting your ideas in a better way. This will widen your engagements and assist you in handling adverse situations. German is the linguistic of Goethe, Marx, Nietzsche, and Kafka, of Mann, Brecht, and Grass. Mozart, Bach, Beethoven, and Schubert, Brahms, Schumann, Wagner, Mahler, and Schoenberg spoke and transcribed German, as did Freud, Weber, Einstein, and Heisenberg, Kant, Hegel, and Heidegger. The people in Germany are known to be world leaders in engineering. It is the second most commonly used scientific language in the world. The place is the gateway to a top-notch higher education system. The education structure is designed to offer the best learning programs to the international aspirants. Many of the Western world’s most significant works of philosophy, writings, music, art history, religion, psychology, chemistry, physics, engineering, and medicine are inscribed in German and endure to be created in German. German is the language which is used as a primary native language of and links you to over 120 million native speakers worldwide. It is the second most learned language, and third most popular language taught worldwide. It is the second most popular language in Europe and Japan after English. It is also an official language of Austria, Switzerland, Luxembourg, and Liechtenstein. And it is the local language of a significant percentage of the populace in northern Italy, eastern Belgium, the Netherlands, Denmark, eastern France, parts of Poland, the Czech Republic, Russia, and Romania, as well as in other parts of Europe. If you know German, then you get an advantage over other candidates. Germany’s robust economic growth matches business opportunities as many big multinational companies exist throughout the European nations. It is because German is the second most spoken language after Russia. The world-famous German corporations like Lufthansa, BMW, Bosch, BASF, Siemens, and many other need international associates. Knowing the fact that German has business advantages, 68% of Japanese students learn German, despite having a 2nd most powerful economy in the world. And also, if you are looking for a job in the US, German knowledge will give you an added advantage. German companies account for 700,000 jobs in the US, and US enterprises have done almost the same jobs in Germany. Germany is a flourishing country and has given many innovators to the world. They have proven themselves to be great trendsetters as they have 4 of the world’s ten most pioneering businesses are placed in Germany, and at 12.7% of the world’s blatant applications, the nation ranks 3rd in the world. The country is focussed fully on various research and development; Germans are on the edge of new expertise. Germany trades in more advanced products than any other republic except for the US. It has more than 600 organizations are dynamic in the front-line field of biotechnology. Almost two-thirds of the world’s largest trade fairs take place in Germany. Although German people are incredibly prolific, they are also good in spending money for their entertainment. They get ample income to spend on their recreation and have 6 weeks of holidays yearly. They love to travel other countries and believe in enjoying their life by exploring new things. In around 2007, Germans spent 91 billion Euros on traveling itself. It means if you learn German and work in Germany, you will be offered enough resources to enjoy your life to the fullest. It will be hard to believe that Germans keep up a current internet authority among other leading countries. It has 8 million internet domains and its most powerful nations domain .de is second only to the extension.com. it means the German extensions are popular than .net, .org, .info and .biz. If you are living in America or want to earn its culture, then knowledge about Germans can increase your gratitude and familiarity with the US saga and background. In one of the 2000 census, around 42.8 million or 15.2% of Americans stated having German heritage, making German Americans the original single legacy group in the US. You must not have an idea that every 1 book out of 10 is published in the German language. It clearly denotes that this language is not the thing of the past, but a language to be valued. Germany has produced many scholars and writer from various fields, who have shown their excellent work to the world time and again. German orators publish thousands of books every year on different subjects. I already mentioned this country’s contribution to American culture; these language speakers are known to be affluent poets and thinkers, as the nation is referred to as “Dichter and Denker”. Science and philosophy also would be hard to imagine without the German orators. The beliefs of Germans have totally transformed the way we think about human behavior. So, knowing German lets you access the whole thing of these great people in their actual linguistic and have in-depth knowledge of their culture. German is required and recommended by many UG and PG level programs. Looking at the significant contributions made by Germans in every field, this language has become a valuable asset for the students in all privileged university and schools worldwide. 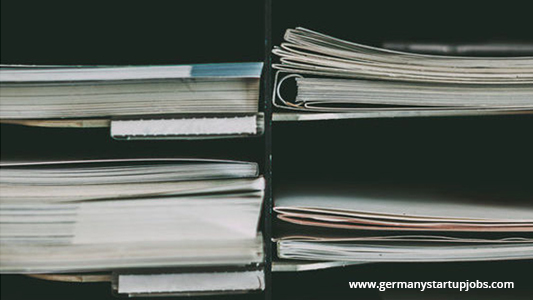 Knowledge of German language helps the students to learn about the famous researchers published in German books and journals. Germans commercially fund over 60000 international trades every year. The Germans very well understand the importance of international relations and cooperation with other nations to continue its growth as a successful leader. In 2001, German Academic Exchange Services supported around 67000 researchers, academics, educationalists and learners in phases of international research and study. Looking at the overall benefits of learning the German language, you will surely have a strong mindset towards studying this language in future. No doubt you have to put in some extra effort to have a proper grasp over German, but nothing is impossible in this world when done with firm determination. The overall study shows that learning the German language will only help in developing our perspective and widen our knowledge. And moreover, English and German both evolved from common ancestor linguistic Germanic, and both languages have similar vocab and grammar. So, now as we have passed with flying colors and are out of the typecasts, let’s admit it that out of all the existing languages worldwide, German is not an obvious choice. 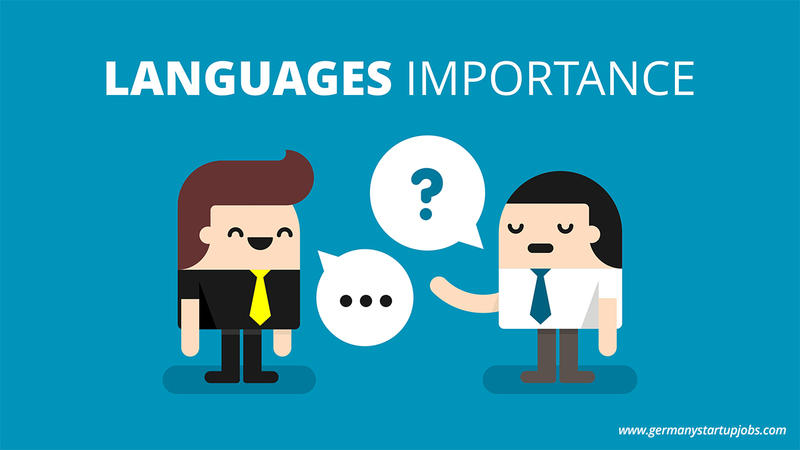 These reasons are good enough to learn the language. So, let’s hop on the train and explore more available opportunities with German globally.